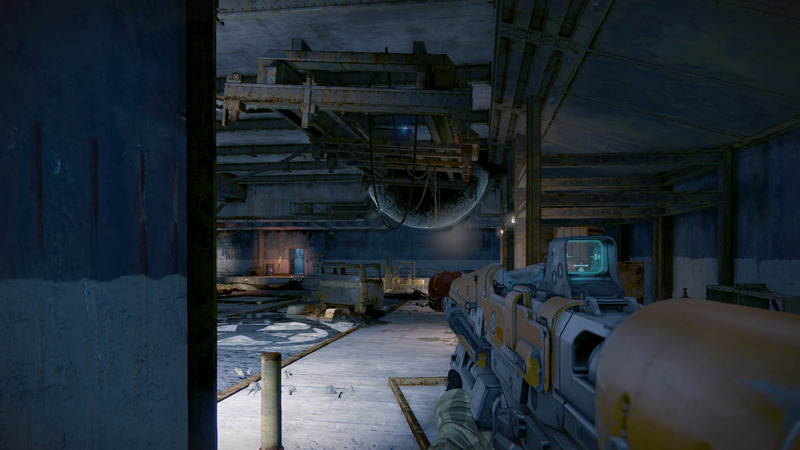 This guide will show you where to find all Dead Ghosts in Destiny. 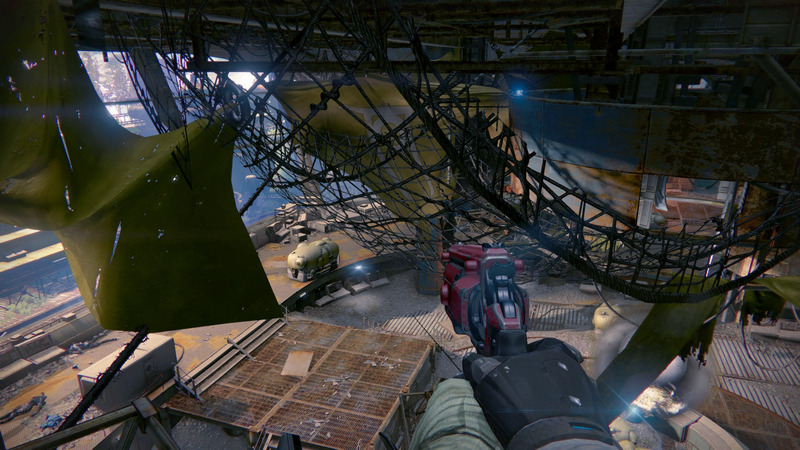 Finding all the Dead Ghosts in Destiny can be a challenging experience. 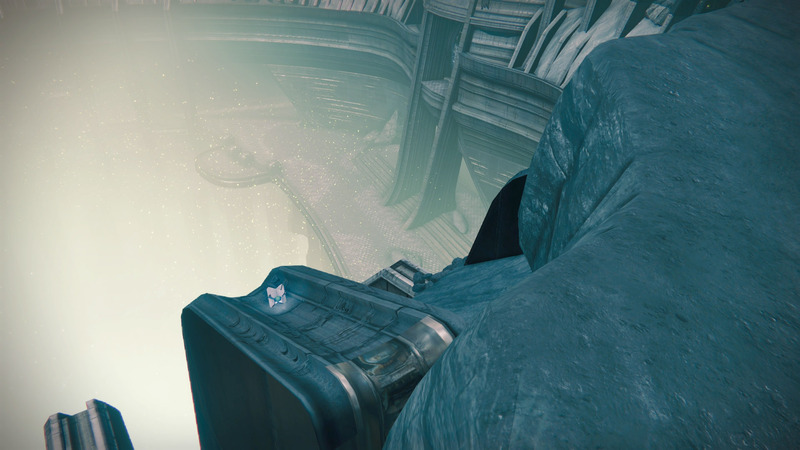 The little glowing Ghosts are often hidden in difficult to reach places that require a bit of skilful jumping. Not only that, but they can be difficult to see. 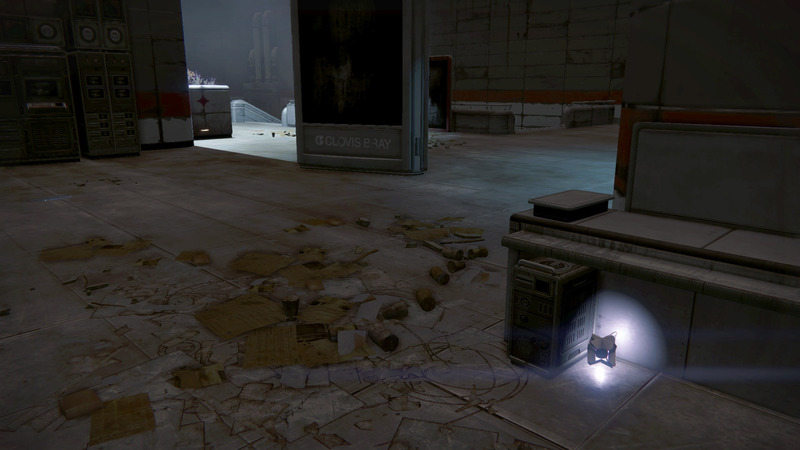 We’ve taken the stress out of having to find them by cataloguing every single Dead Ghost in Destiny. 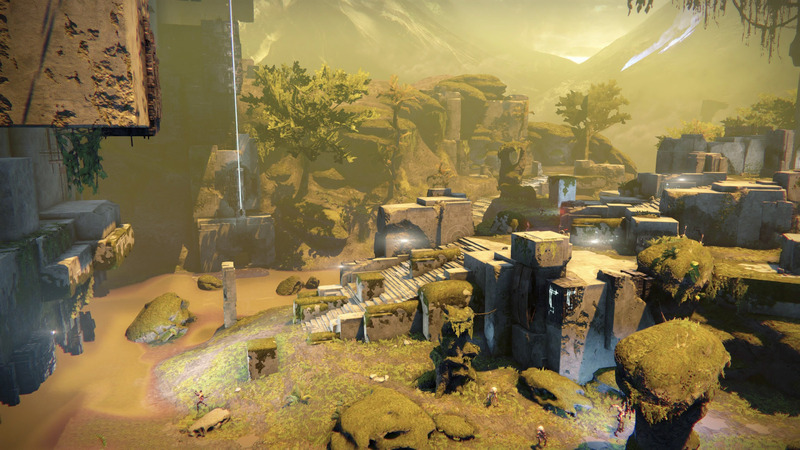 Below are directions on how to hunt and find all Dead Ghosts in Destiny. This Dead Ghost is in the Hall of Guardians. 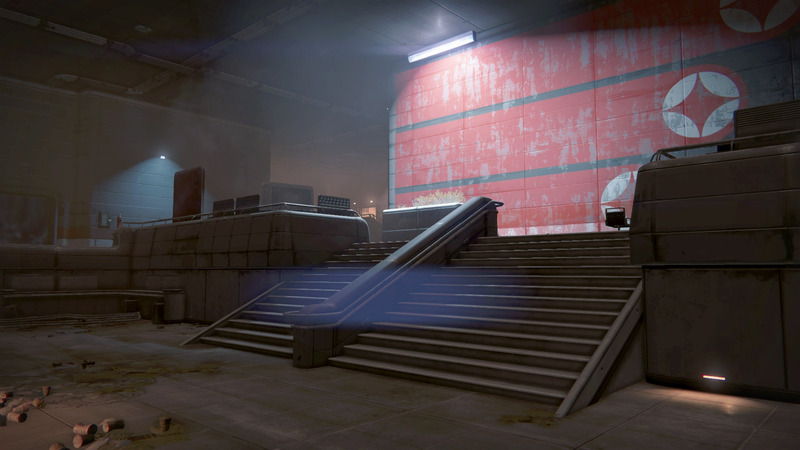 To find this one, when you spawn in at The Tower, head down the stairs that are directly in front of you and through to where the Vanguard stand, the Ghost is inside the doorway on the right. 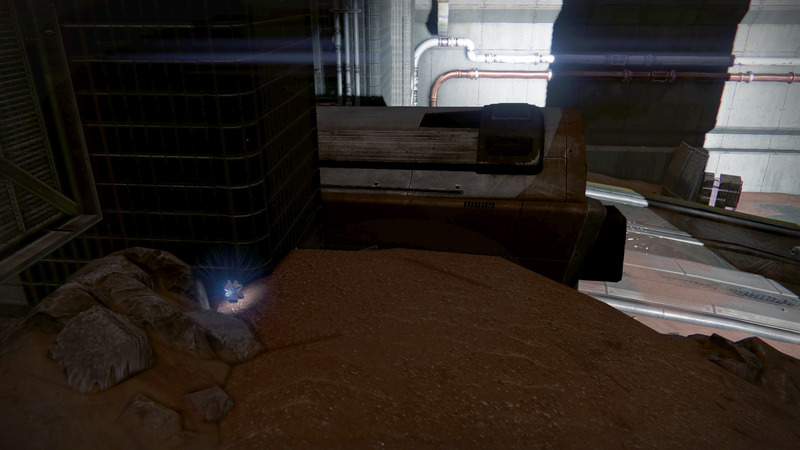 This Dead Ghost is found in the Tower. 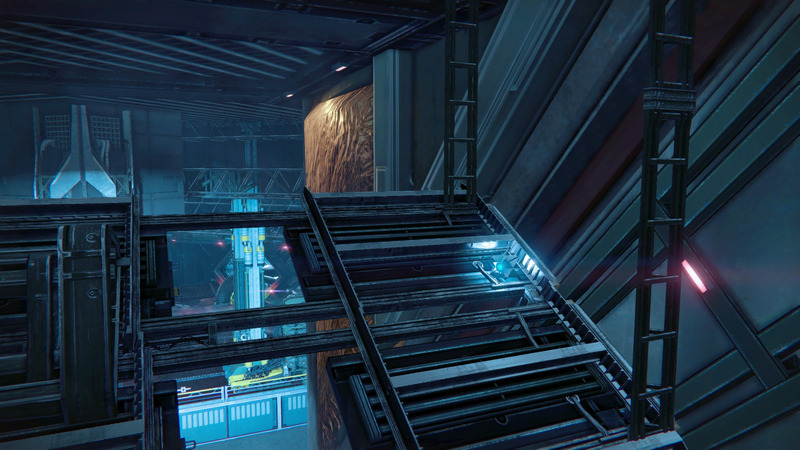 When you land in the Tower, head over to the left side and up a set of stairs onto a balcony. The Ghost will be on a couple of boxes near a light. 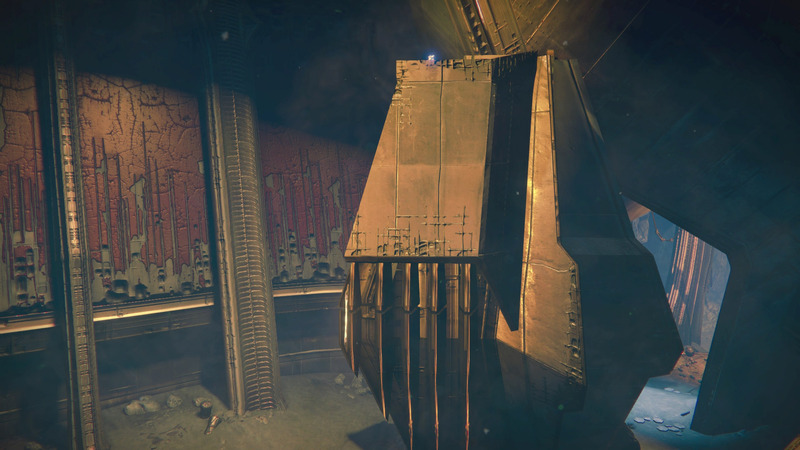 The Dead Ghost is found in the left wing of the Tower near The Speaker. Head up toward The Speaker, but stop at the top of the stairs. The Dead Ghost can be found on a table. 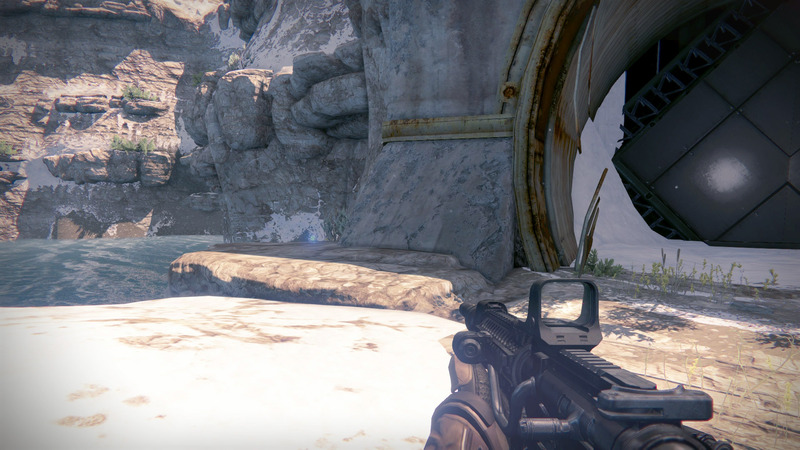 Only available during Iron Banner, this Dead Ghost can be found in the area behind the Bounty Tracker. Head through the now-opened doors and to the very far end of the space. 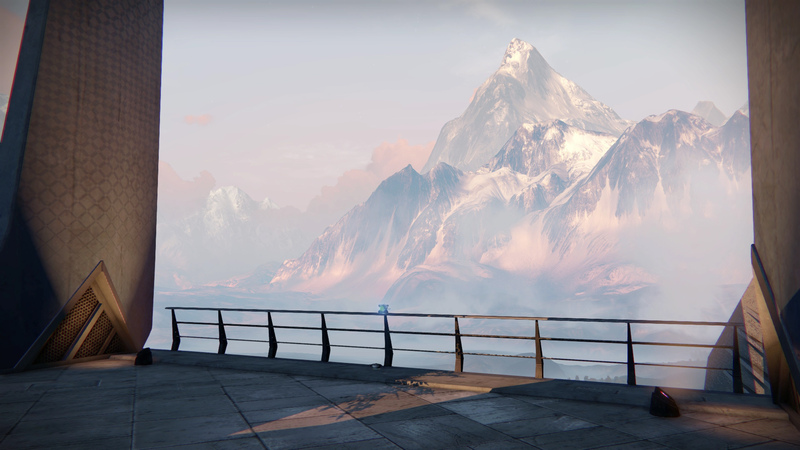 You’ll find the Ghost on the railing overlooking the mountains. This Dead Ghost is found behind Varik on top of his hovel. 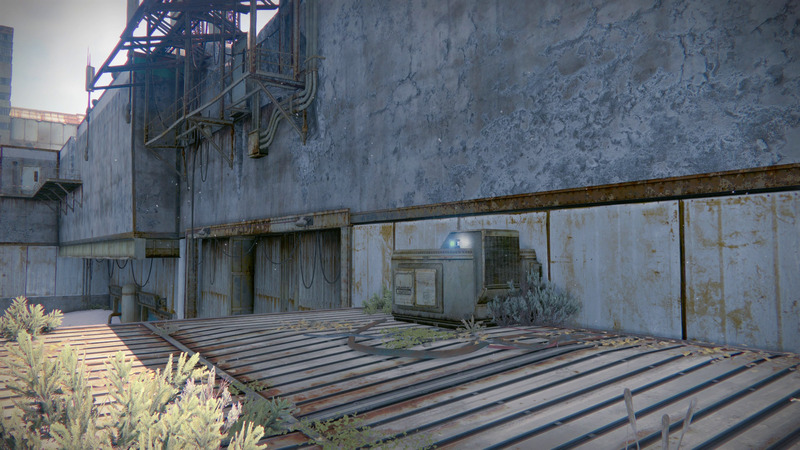 Use the crates and objects around Variks to climb on top of the tarp. The Dead Ghost can be found on here. 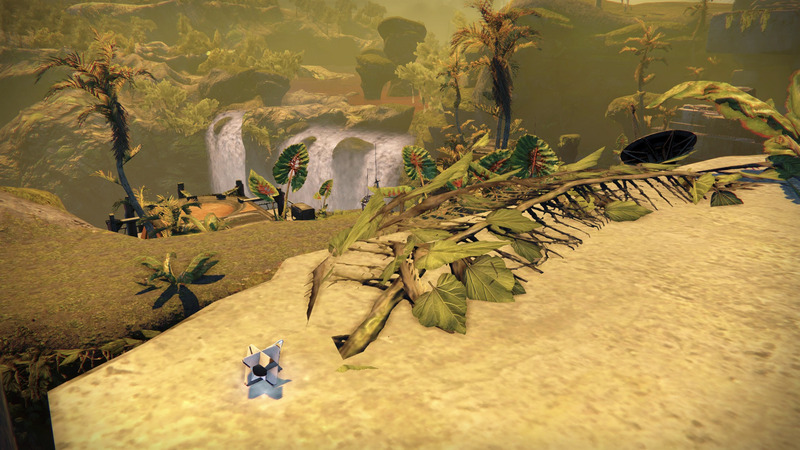 To find this Dead Ghost, move to the right side of the Reef to the Abandoned Mission Kiosk. The Dead Ghost is above it in a net. This Dead Ghost is a little more challenging to reach as it is below the walkways. Move forward toward the guards but stop before reaching the stairs. Look over the railing on your right-hand side to see the Ghost sitting on some girders suspended below the walkways. You will need to jump down and crouch walk to get this Dead Ghost. 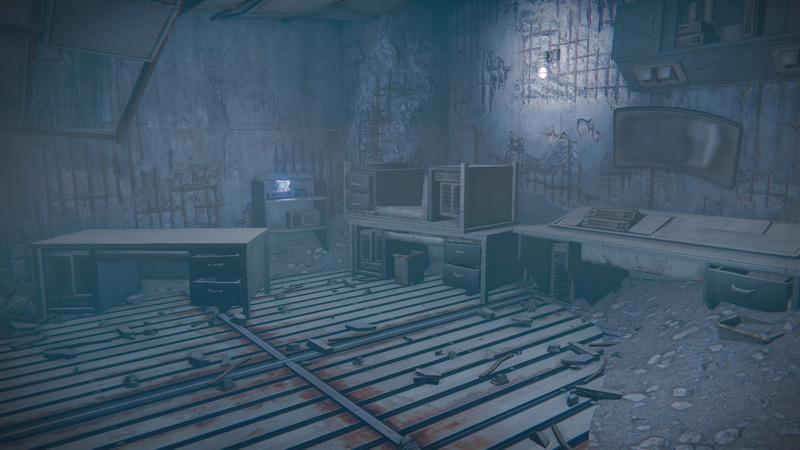 You will need the April Update to receive this Ghost as it is located in the new-and-improved Prison of Elders. 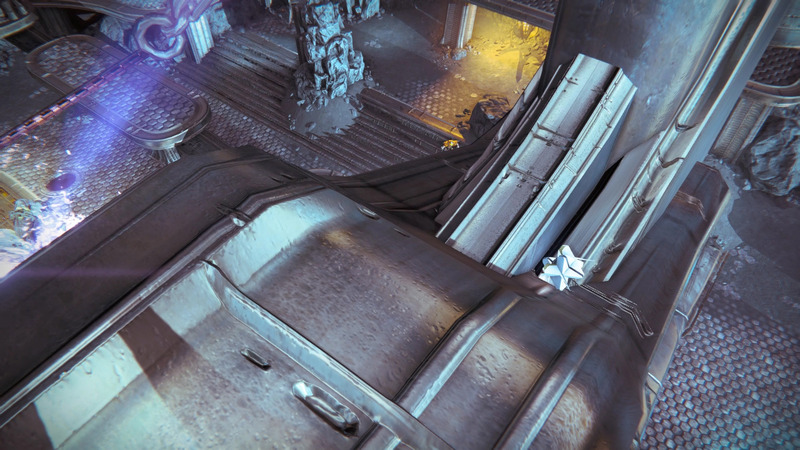 After clearing the Prison of Elders the chute will open to let you move down to claim your reward. Stop on one of the outcroppings and look inside the rooms. 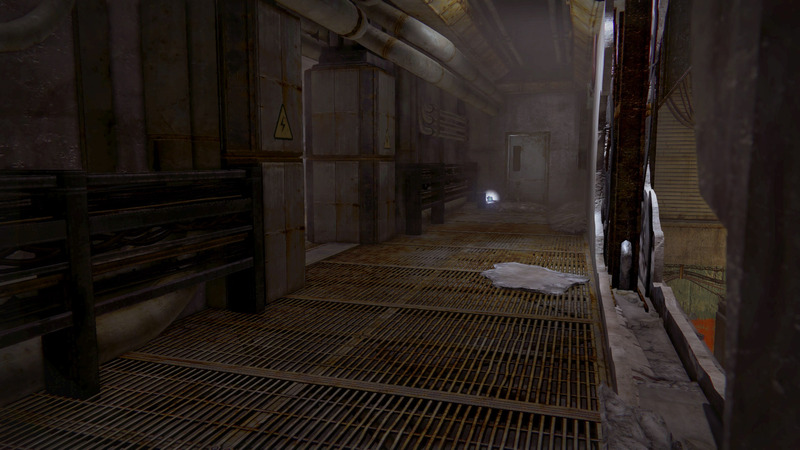 The Dead Ghost will be in one of the room attached to the platforms. This Dead Ghost is located at the very beginning of the game in the Gateway. 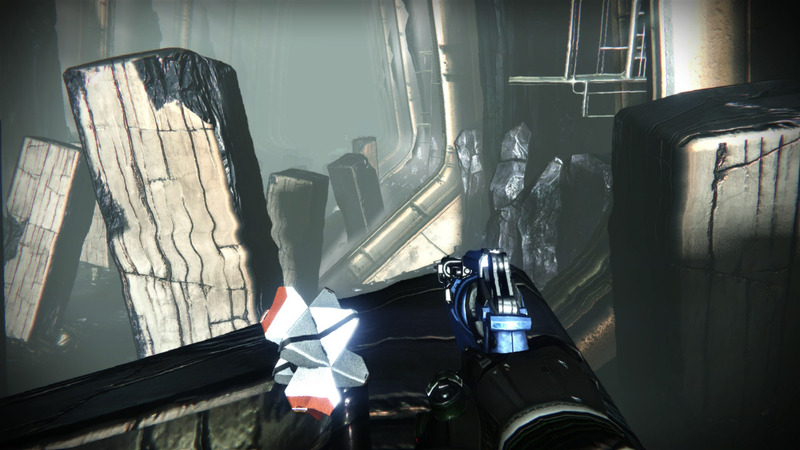 To find this area, head from Patrol spawn to the right until you reach The Divide. 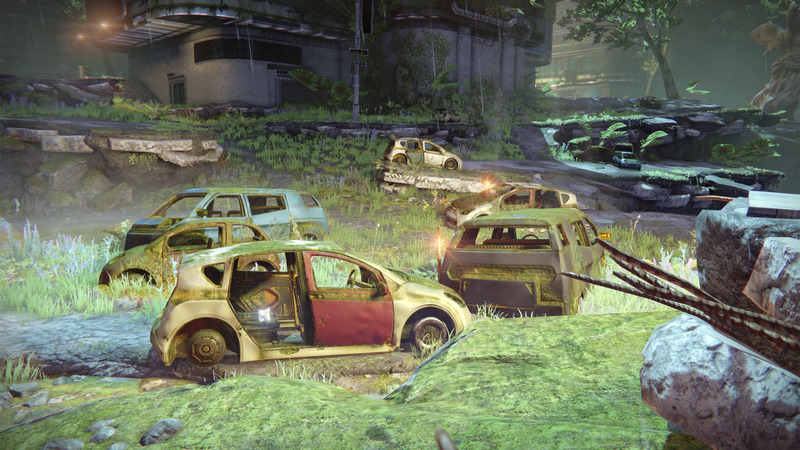 Then continue right and into The Breach, moving through the area until you reach all the rusted cars outside. As you exit The Wall and step out of the door, turn around and look above you. The slanted windows can be reached with some tricky jumping, that is where you’ll find the Dead Ghost. This Dead Ghost can be found just in front of the spawn location on Earth. Behind the large building in front of you is a smaller building. The Ghost will be inside this building beneath a table. To find this Dead Ghost you will need to head to The Divide. 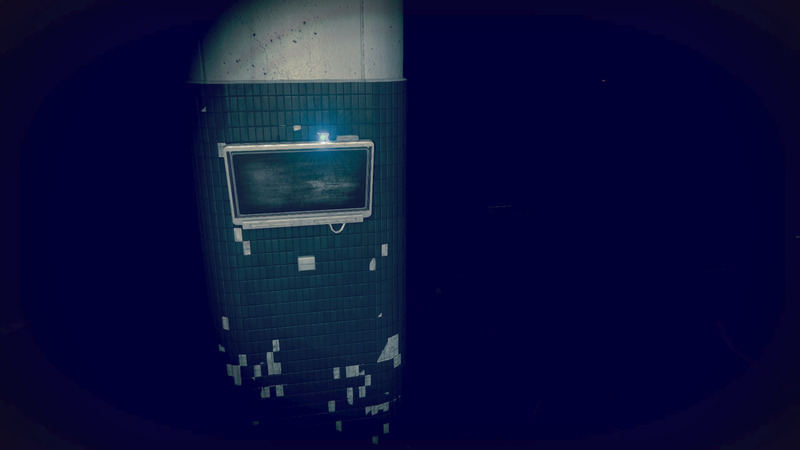 In The Divide, below the broken highway is a large metal tube, you will find the Dead Ghost inside the tube. Finding this Dead Ghost means traveling to The Divide. 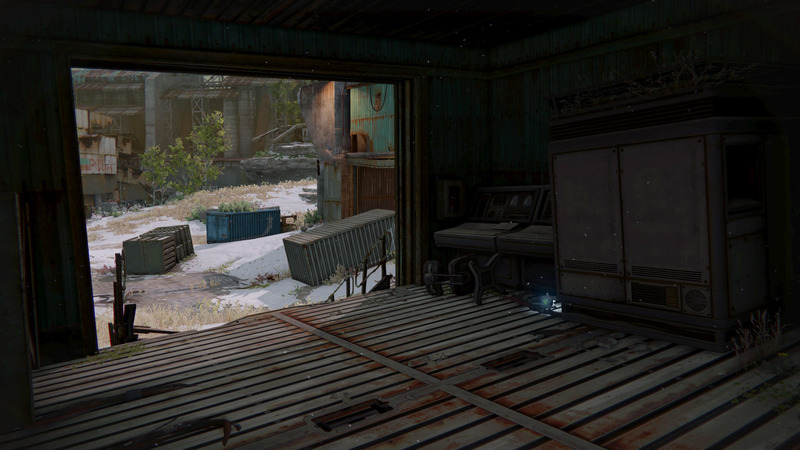 In The Divide, coming from Patrol spawn, turn to your right and look for the sign that connects two buildings near the trucks, the Dead Ghost will be on the sign. The Breach is where you will find this next Dead Ghost. The Breach can be accessed from The Divide through what looks like a sewer with a fan on either end, the Ghost is in the next room beneath some stairs. This Dead Ghost is found a short walk away from the previous Ghost in The Breach. Continue to explore deeper into The Breach until you reach 2 green pipes and 2 yellow pipes on the wall. Above the pipes you will find the Dead Ghost. Find this Dead Ghost in the valley between The Steppes and the Mothyards. Between the concrete gully is a giant door with two round tunnels. The Dead Ghost is found in the grass near the left tunnel. In the Mothyards is where you will find this Dead Ghost. Search for a plane wing that is tilted like a ramp towards the cliff face. The Ghost is up the ramp, in a cave and between two rocks. To find this Dead Ghost, you will need to head from the Mothyards toward The Forgotten Shore. On your way there look for a cave on the left side of the river, the Ghost will be at the back of the cave wedged into the wall. From the Mothyards, head up the hill toward the building with the dish on top. Once inside this building look for the room where your Ghost turns on the flash light. The Dead Ghost is on top of a box on the right-hand side of this room. This Dead Ghost is found in the Skywatch, which is an area just past the dark room you were in previously. 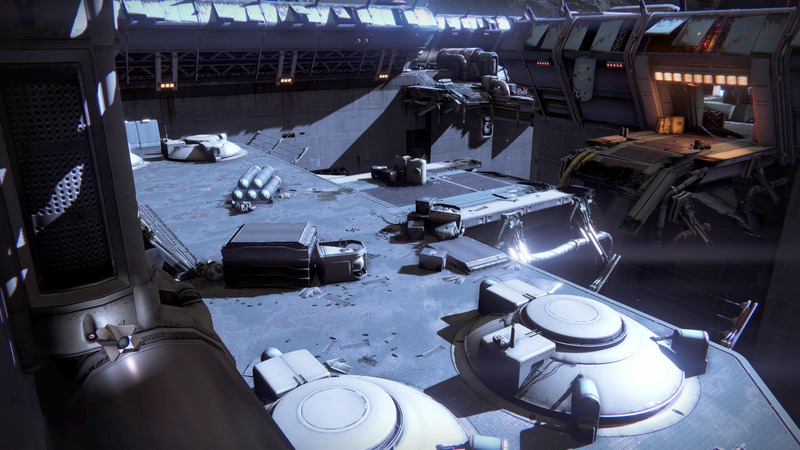 To get to the Skywatch from Patrol spawn, head through the Mothyards then up into the building with the satellite on the top, this takes you into the Lunar Complex. Move through the Lunar Complex and you will reach the Skywatch. Move to the right of the Skywatch, over the helipad and over the side. 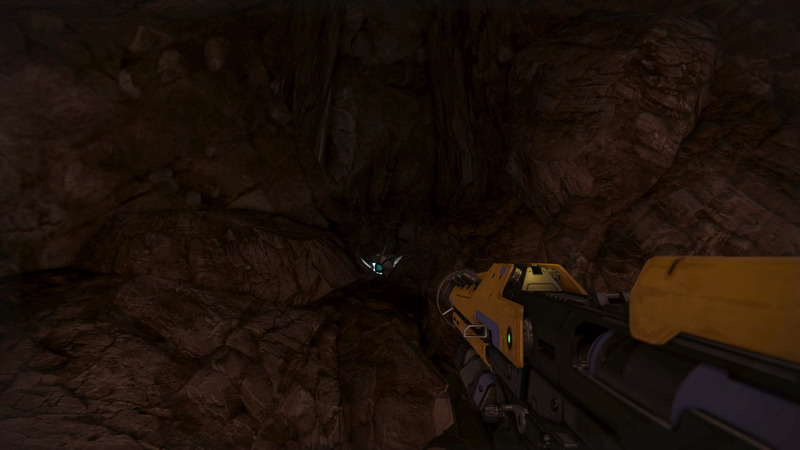 There is a thin outcropping that you can walk down to get into a room below the ground. Be careful because a high-level enemy spawns here, either a Knight or an Ogre. The Dead Ghost is on some shelves in this room. If you’re already in the Skywatch you can move to the back of the space and head into the Terrestrial Complex. This will lead you through into a carpark ramp that feeds into the Forgotten Shore. 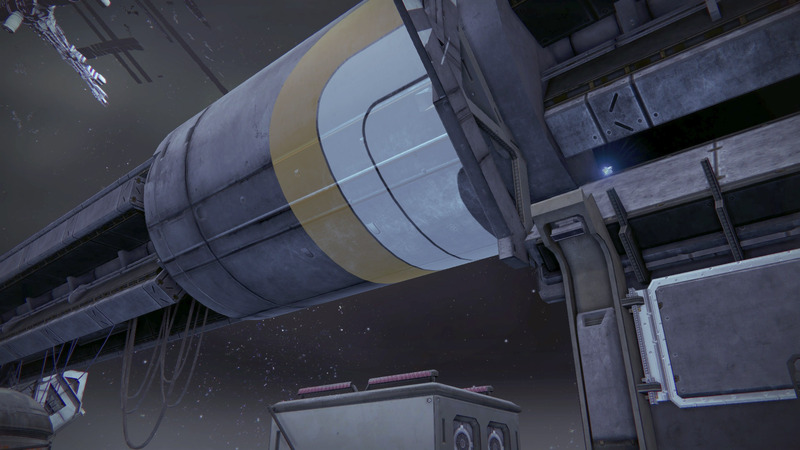 If you’re in the Forgotten Shore, head toward the Skywatch and into the carpark area. On the right side of the carpark are a set of lockers, here is where you’ll find the Dead Ghost. This Dead Ghost is found in the Forgotten Shore in one of the broken ships. Look for the ship at the base of the only building that is partially sunk into the ground. You will find the Dead Ghost in the cabin. To find this Dead Ghost you will have to enter the building in the Forgotten Shore that is overlooking the ocean. Find the stairs leading down into the basement, you’ll find the Dead Ghost on the bottom floor beneath the stairs. Be careful, because some extremely tough Hive Knights spawn in here. 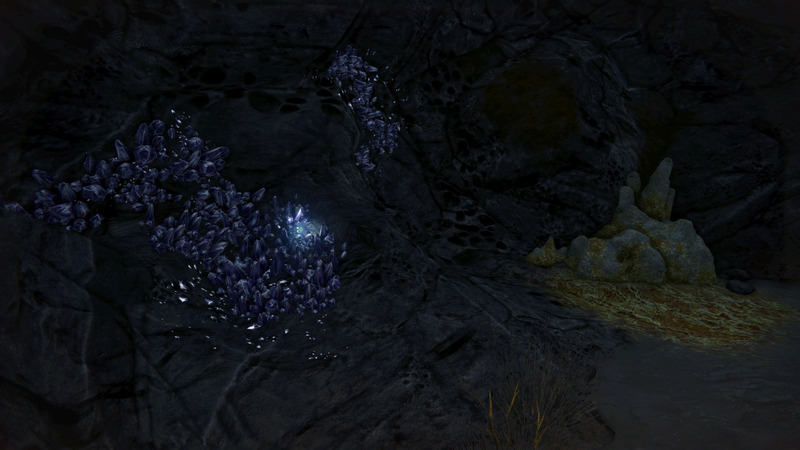 This Dead Ghost is found in The Grottos, which is just past the Forgotten Shore. Stick to the left side of the path, it will take you down and around the side of the cliff. Look for a giant tunnel leading into the earth, on the left side of the tunnel are some rocky platforms, here is where you will find the Dead Ghost. The Rocketyard is your next target area. To reach the Rocketyard, move from The Steppes and into The Divide. The Rocketyard entrance can be found on the opposite side from where you entered. As you enter the Rocketyard, move straight forward and jump onto the building behind a shipping crate and look for the Dead Ghost on the ground. 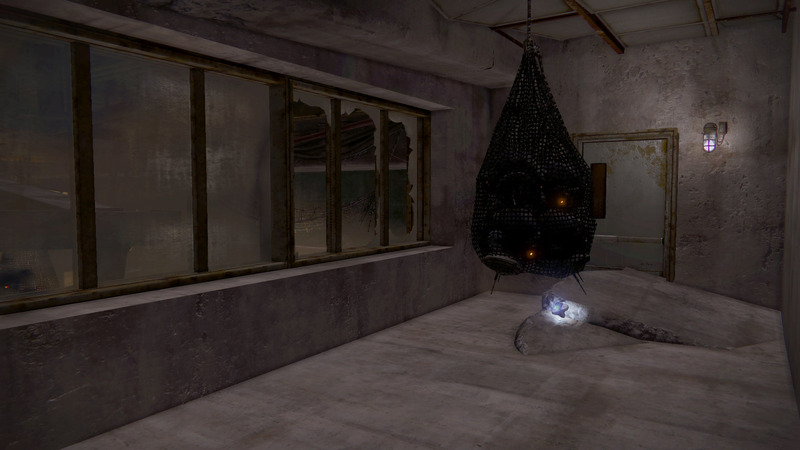 In the Refinery is where you will find this next Dead Ghost. To reach The Refinery you need to head through the Rocketyard. 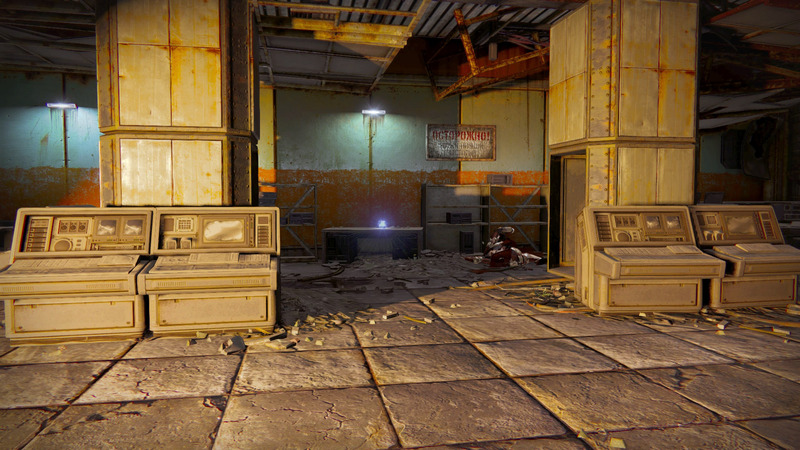 This area should look familiar if you’ve played the Devil’s Lair Strike. 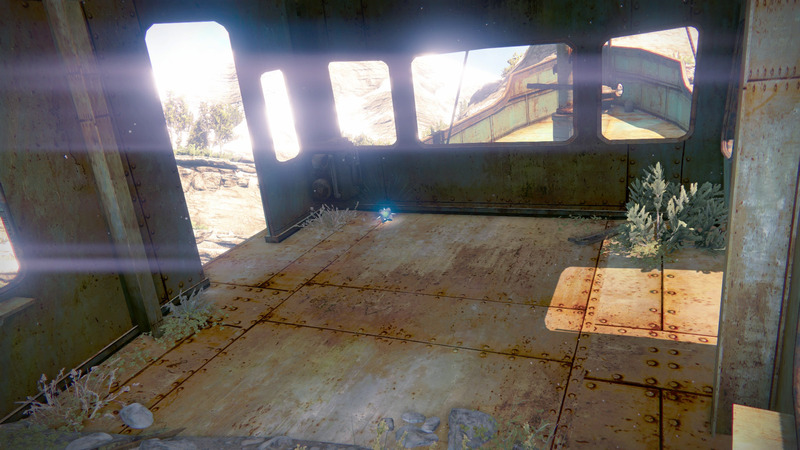 When you reach the open area with the train tracks, look for the Fallen generator sitting in the middle of the room. Just before the generator there is a little room with a bookcase. Your Dead Ghost is in there. 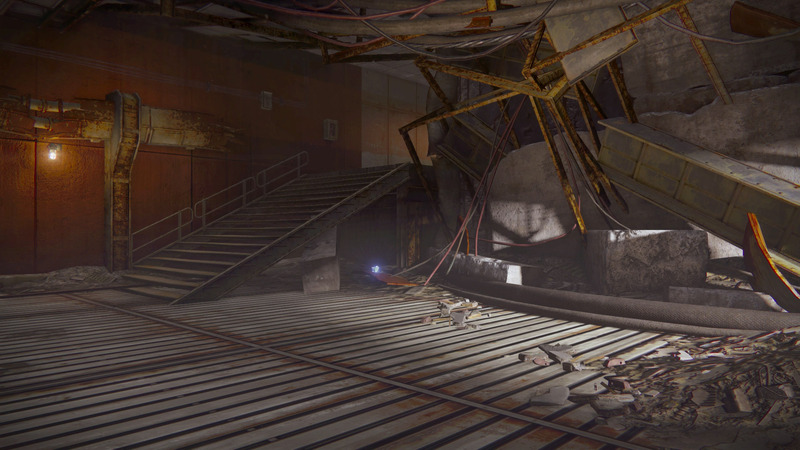 This Dead Ghost is accessible through Patrol, so no need to specially boot up the Devil’s Lair Strike. But if you are in the Strike, it can be a good time to get this Dead Ghost. Head from the Rocketyard, through The Refinery until you end up in The Blast where you fight the Devil Walker Spider Tank. On the left side of the map is a broken highway, below this highway and in the back is a room. Head up the stairs to find the Ghost behind some computers. 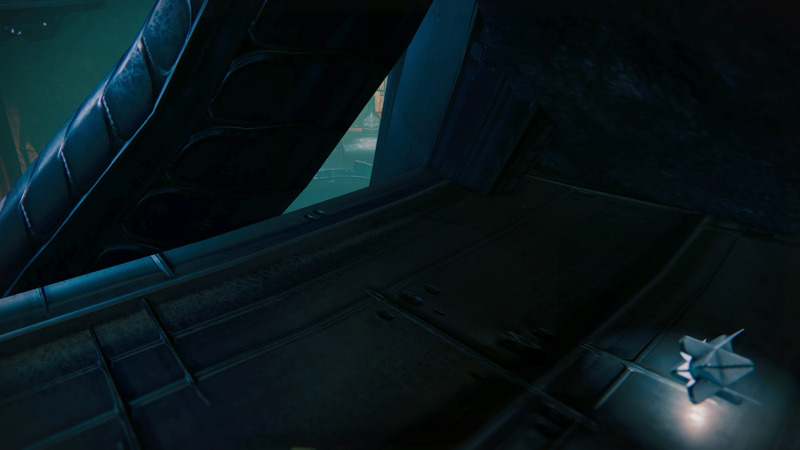 This Dead Ghost can be found by using the Story mission Siege of the Warmind. 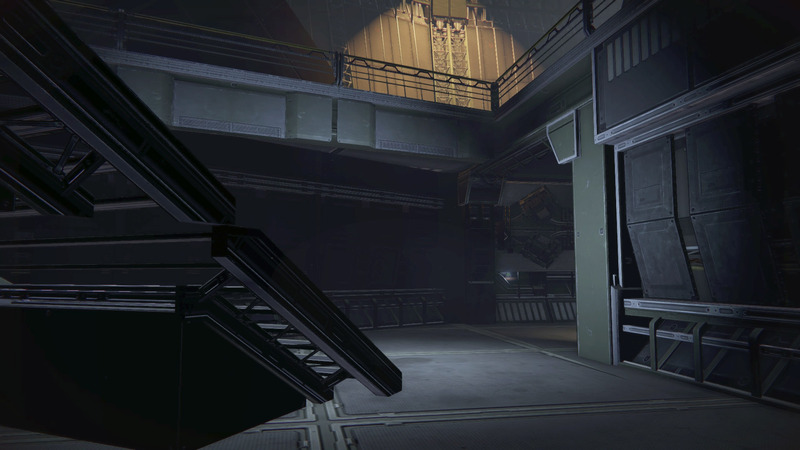 Follow the mission until you reach the Seraphim Vault. Don’t follow the mission up the stairs. Instead, continue along the outside to find the Dead Ghost on a little landing near some crates. 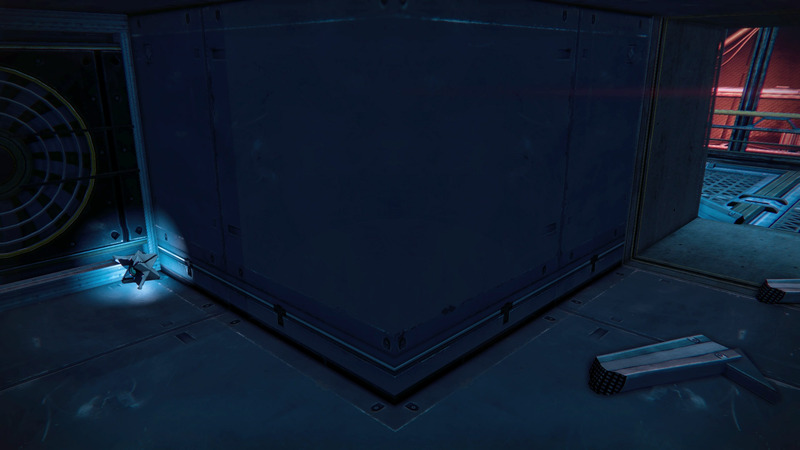 This Dead Ghost can be found by using the Story mission Siege of the Warmind. Follow the mission until you enter the large room with all the cables that connect to the center unit. Head to the back of the room and look for the stairs that lead down below. The Dead Ghost is on the wall a few feet from the bottom of the steps. This Dead Ghost can be found by using the Story mission Siege of the Warmind. Follow the mission along until you reach the final room where you fight Omnigul. Use the objects and cables around the room to climb the giant shape. On top of the shape you will find the Dead Ghost. This next Dead Ghost can only be accessed during The Ruling House missions. Follow the mission along until you enter the Kings’ Watch area. Look for a blue wall with a mural of people painted in black standing next to white rockets. Turn left and look up to see windows on the second floor of the building. It’s up and behind these windows where you will find the Dead Ghost. 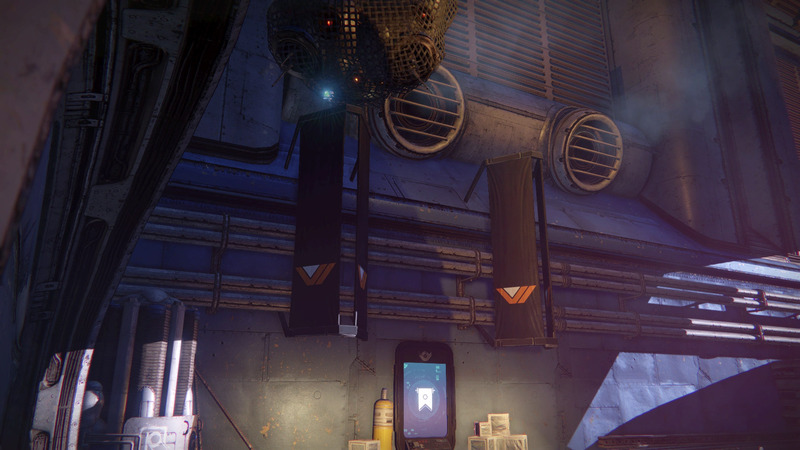 The next Ghost can be accessed during The Ruling House mission. Follow the mission until you reach the Kings’ Watch area. Move through the area until you reach the blue wall with the people and rocket painted on it. Go up the stairs and pass through a thin corridor. Turn to your left and look up to see a hole blown in the wall above you. Jump up into this hole to find the Dead Ghost on your right. This Dead Ghost can be reached through the mission The Ruling House. 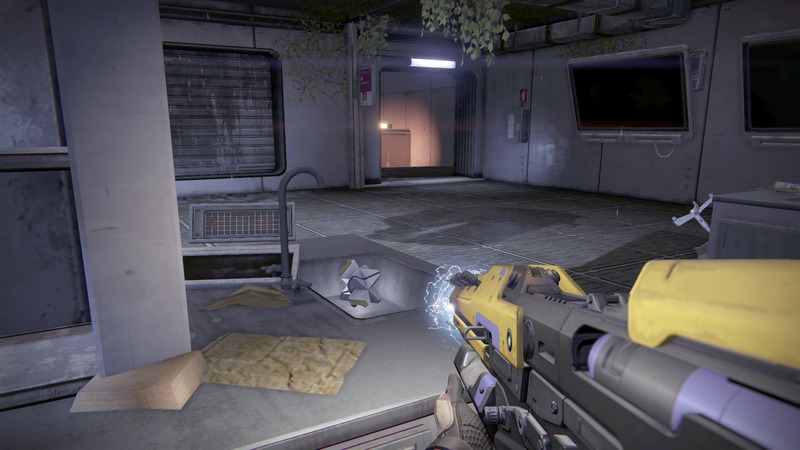 In the final room of the mission you will find what appears to be a holographic display of the Traveler. Above this display is a circular structure. Use the geometry around the area to jump up to the structure. You will have to hold X/Square as you move past the Dead Ghost to grab it because you can’t stand on the ring. You must have The Taken King to claim this Dead Ghost. 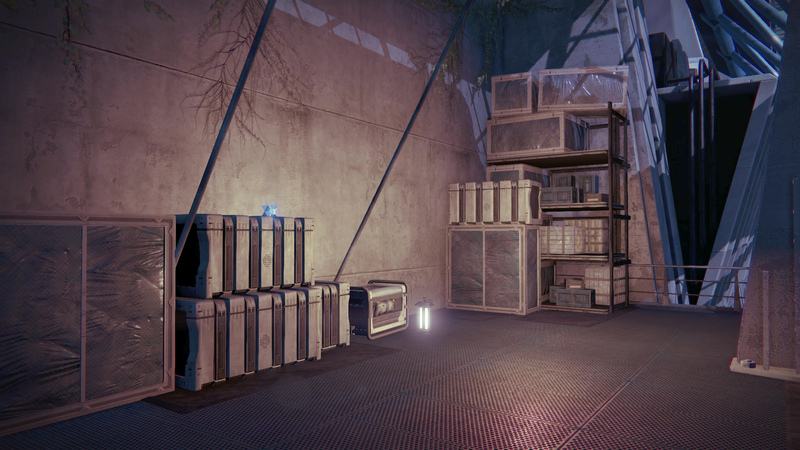 Start the mission Cayde’s Stash and progress through it until you reach the room with the three elevators. The Dead Ghost can be found in this room on the metal beams on the ceiling. It will be on the left-hand side behind the black orb. The Dead Ghost can be found using the Cayde’s Stash Story mission. Go through the mission until you reach the three elevators. Take these elevators up and you will find the Dead Ghost at the very top of the antenna. 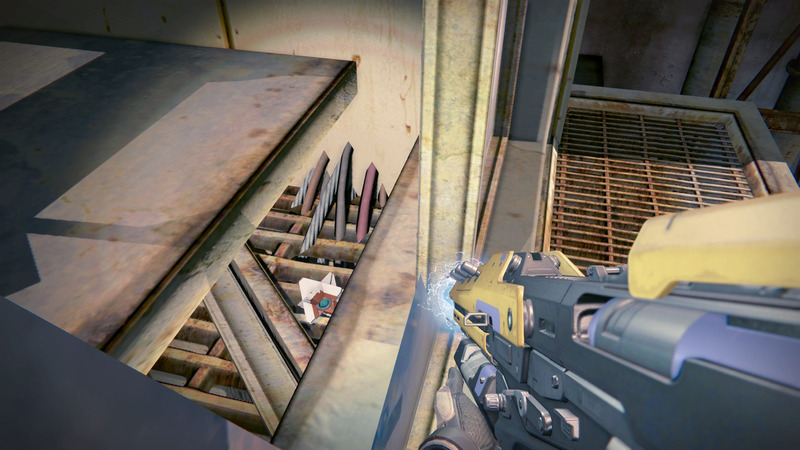 This Dead Ghost can be found in the mission Cayde’s Stash at the very top of the colony ship where you fight the Echo of Oryx. The Dead Ghost is on the outer rim of the platform. Start the Strike, Fallen SABER and follow it along until you reach a room with a huge diagonal window that looks over the Fallen SABER boss room. The Ghost can be found behind the lights at the top of this slanted window. 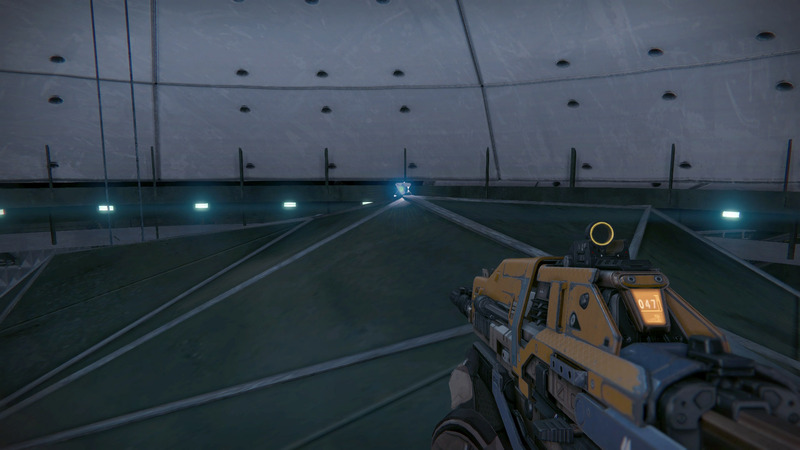 Again, in the Fallen SABER Strike, follow the Strike until you reach the room with the electricity running down it. At the end of this corridor is where you will find the Dead Ghost. It will be on the side of the structure lying in the middle of the walkway. 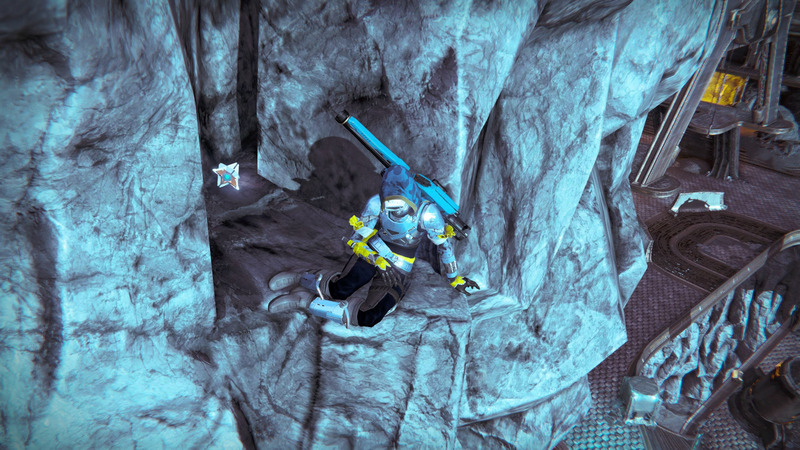 This Dead Ghost can be found by using the Strike, Fallen SABER. 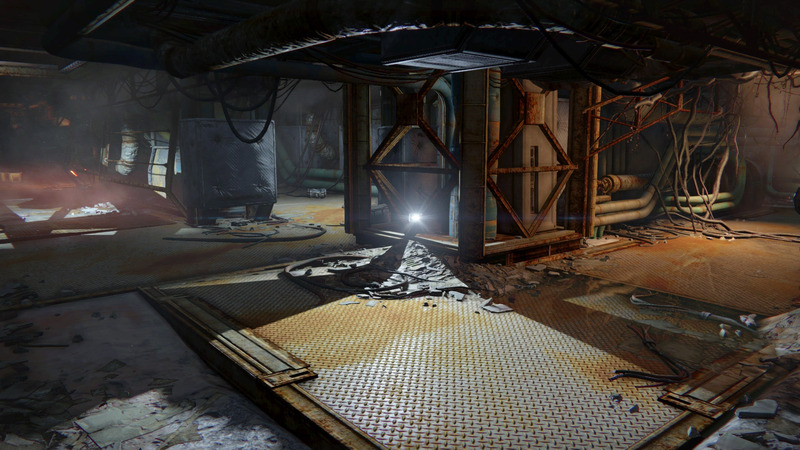 After clearing the Warsat portion of the Strike, move through the door that opens that leads underground. As soon as you enter The Mine, look to your left to find a small gap between the wall and a vertical pillar of rock. Through the gap and on the ground wedged between the wall and the floor you will find the Dead Ghost. Use the Fallen SABER Strike to find this Dead Ghost. 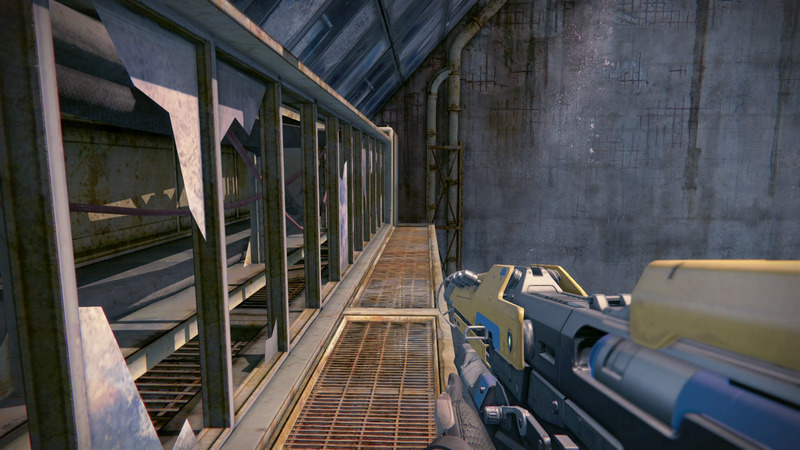 Continue through the Strike until you reach the last corridor before the drop into the arena. On the right-hand side of the corridor are vents. Shoot open the first vent and crouch walk in. The Dead Ghost is just around the bend. The first Dead Ghost you can find on the Moon is located up the hill from the spawn point and beneath the bridge-like structure. 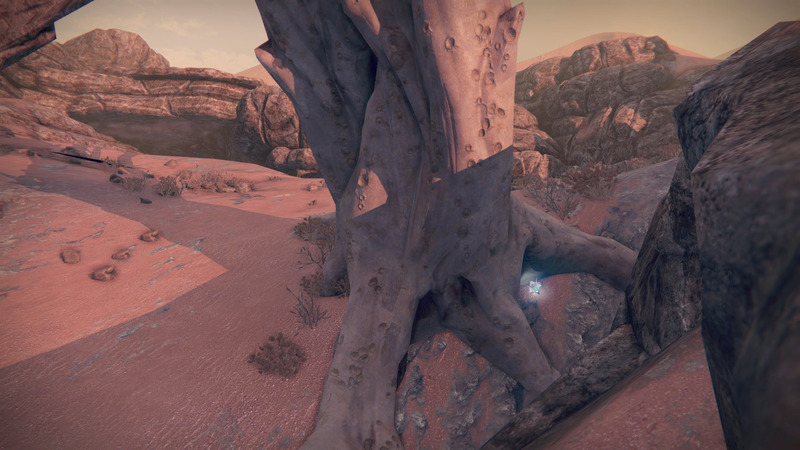 The Dead Ghost is on one of the support pillars. 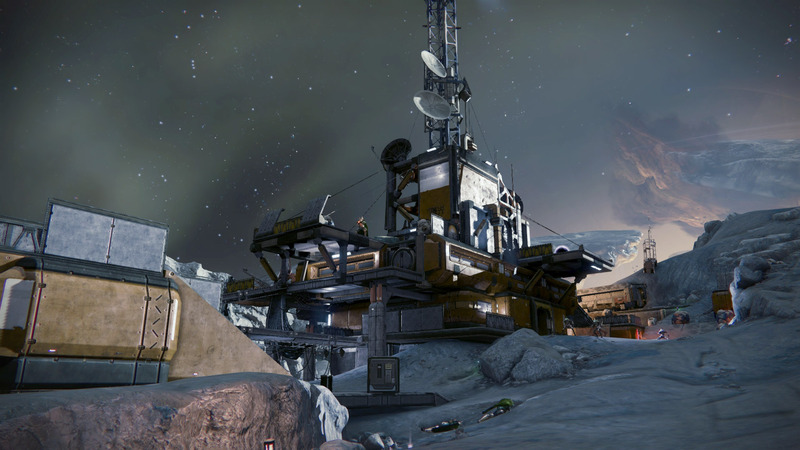 From the Patrol spawn on the Moon, head to your right to find a building with a domed roof. The Ghost is to the right, before entering the building, and over the edge. Be careful getting this one as you can fall into the abyss. 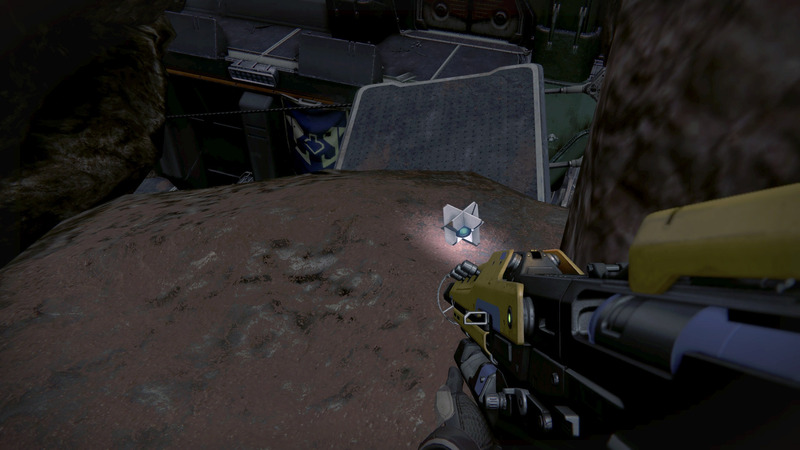 This Dead Ghost can be found by using the Shrine of Oryx mission. Continue through the mission until you reach the hole in the wall with all the tubes connected at the top. The Dead Ghost is on top of this doorframe. Use the surrounding beams, crates and lights to jump up to the roof. This Dead Ghost can be found in the Hall of Wisdom. In the Hall of Wisdom is a thin bridge that leads to a central area illuminated by a Hive lights. The Dead Ghost is found along the cave wall. You will need to make a daring jump from the bridge to the cave wall in order to reach this one. This Dead Ghost can be found in Patrol in the Circle of Bones, the area that has a balcony overlooking the green pit of The Hellmouth. To find this Dead Ghost you will need to jump over the railings and head around the perimeter. This Dead Ghost can be found in the Circle of Bones. 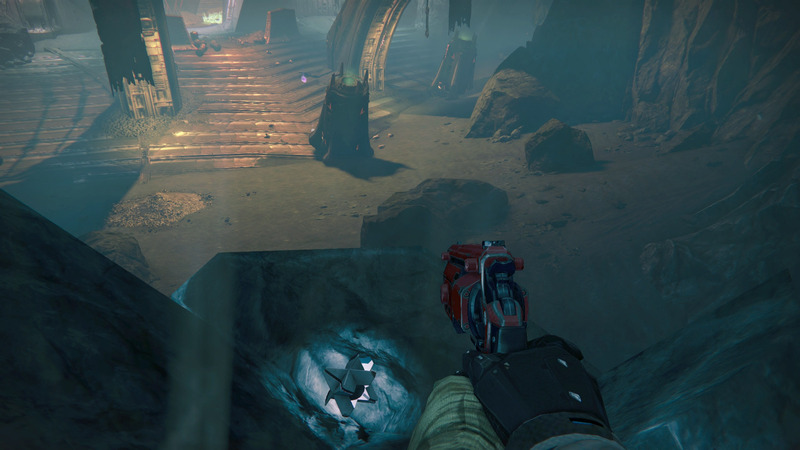 It is easier to find this Dead Ghost by using The Summoning Pits Strike. 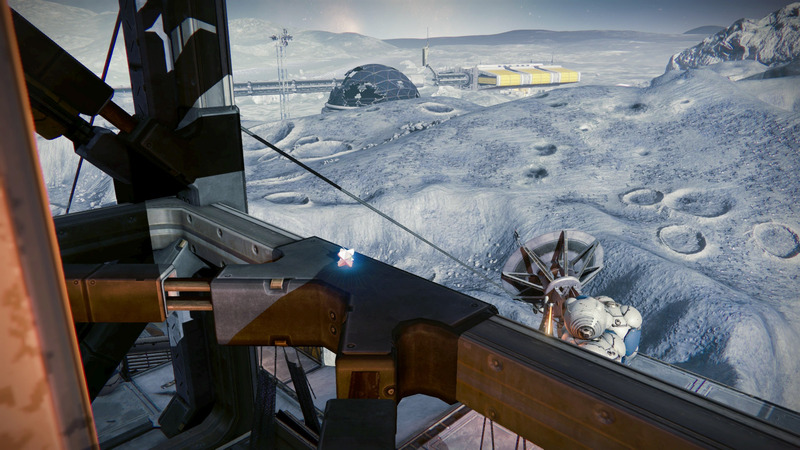 Continue through the Strike, past the 3 waves of enemies while Ghost unlocks the door. 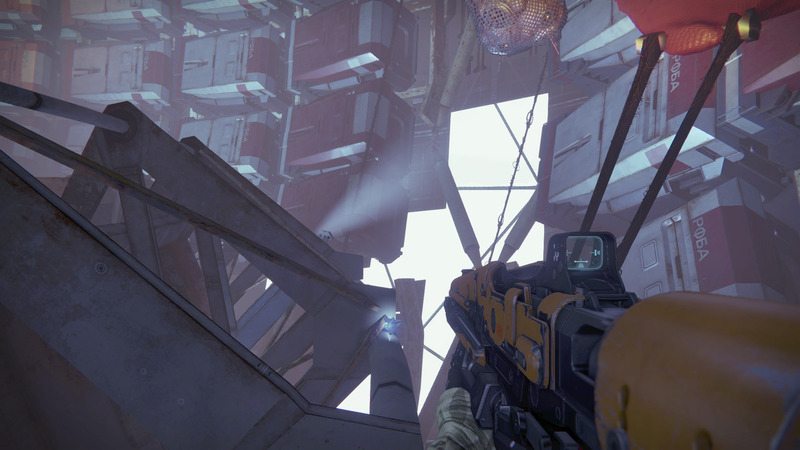 Run past the ogre and as you exit into the Circle of Bones, look to the roof and see a light fixture. You need to jump up to this light, the Dead Ghost is found on top of it. 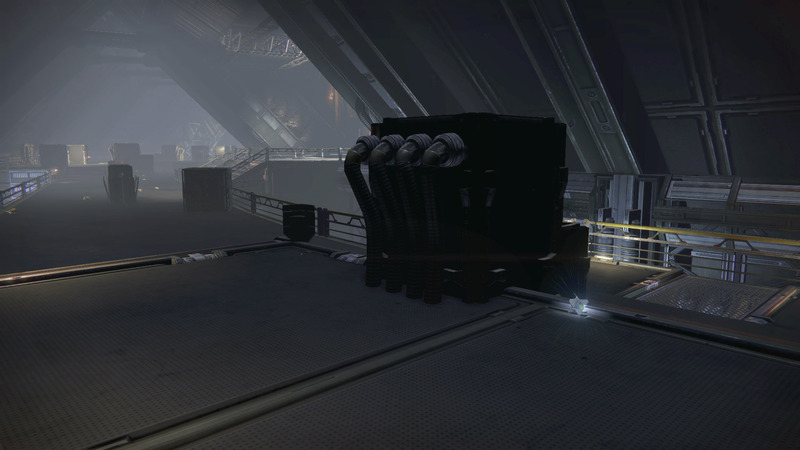 Starting at Patrol spawn, head to the right and move through to the Anchor of Light, then left again until you reach a factory-like structure. 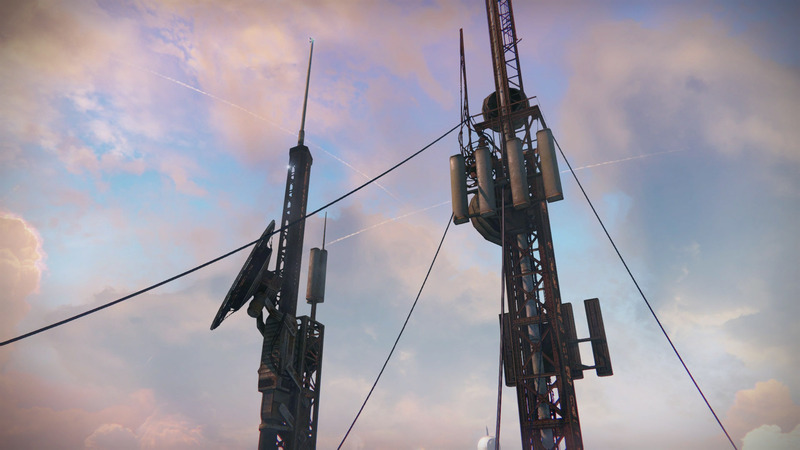 You will find the Dead Ghost on the support beams at the top, just below the satellites. 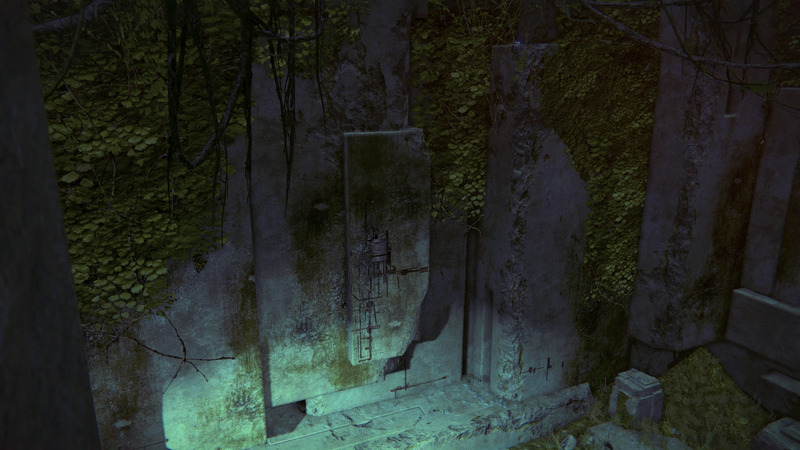 The next Dead Ghost can be found deep within the Temple of Crota. Enter the Temple and move past the first Hive Seeder that’s hanging over a bottomless pit and into the next room to find another Hive Seeder in the middle of a room. 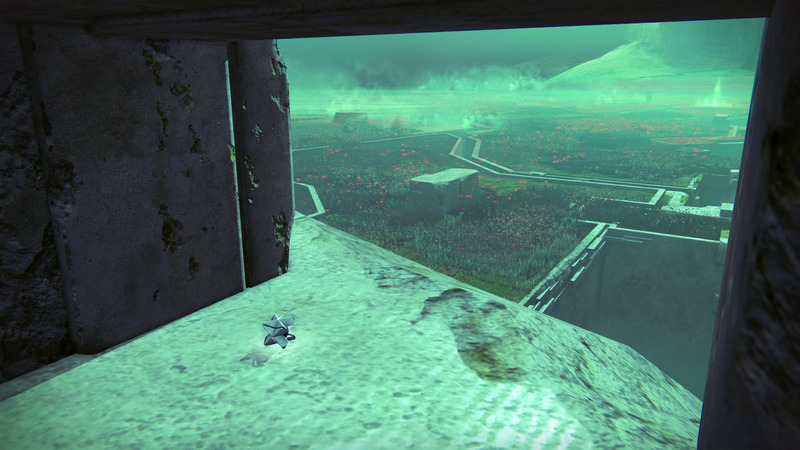 Use the platforms around you to get up and above the Hive ship to find your Dead Ghost on a platform. 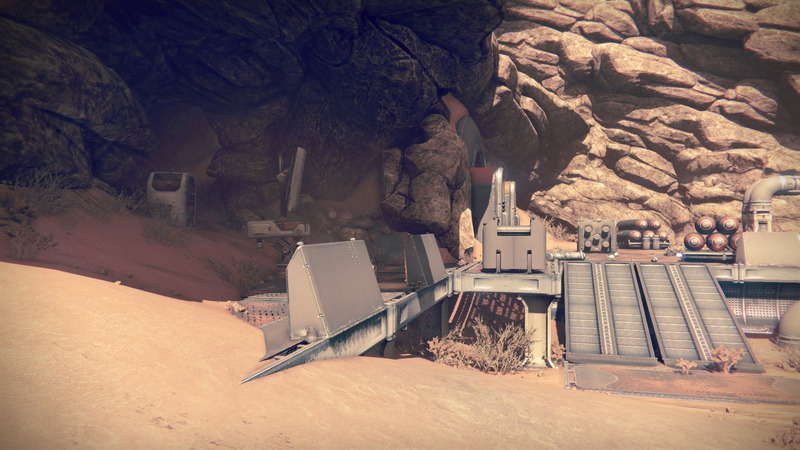 Starting at the Patrol spawn point on the Moon, head to the left and follow the path around until you reach The Hellmouth. Now, stick to the right-hand side of the map so you can enter a little base in a ravine. You will find the Dead Ghost in the center building on a computer desk. 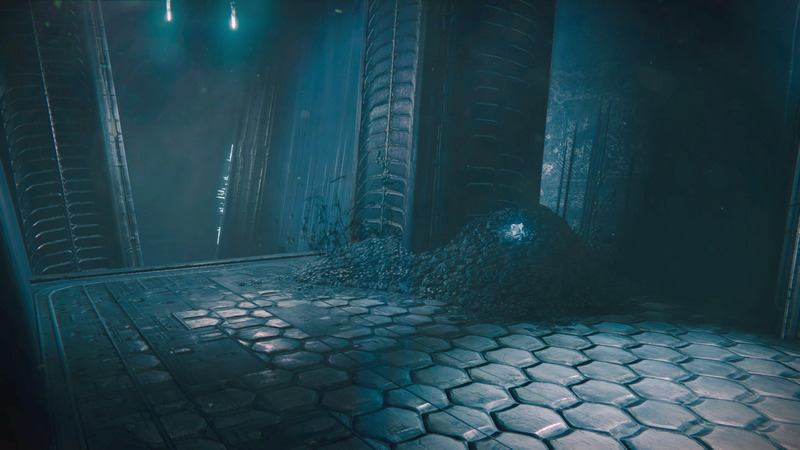 To quickly find this Dead Ghost, load up The Summoning Pits Strike, and move past the three Knights that spawn in the first room and continue down into the larger room where you fight a Wizard. Go to the left side of the room and look down into the Hellmouth. The Dead Ghost you’re looking for is on one of the metal fins. 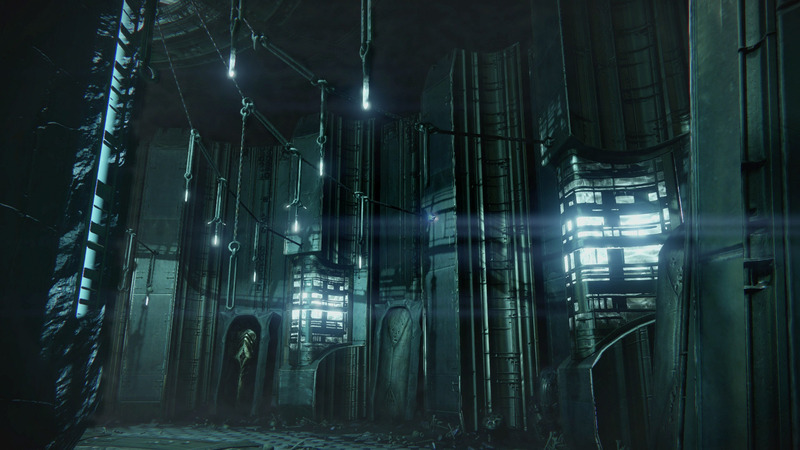 Find this Dead Ghost by playing through the Shrine of Oryx mission. Play through the mission until Ghost says, ”There’s the Shrine. Find a way through,” then move forward into a tunnel where Thrall come running out. The Dead Ghost you’re looking for is on the right behind a beam. You must have The Dark Below to claim this Dead Ghost. This Dead Ghost can be found in the mission, The Wakening. Continue through the mission until you reach the Chamber of Night with the green glowing circles on the floor. Stick the left side of the room and head up some stairs. The Dead Ghost will be just at the top of the stairs on the left. Use the mission The Wakening to claim this Dead Ghost. Continue through the mission until you reach the Chamber of Night where the green glowing circles are on the ground. Pass through this area and into the next large open area with stairs in the back. Look for the large rock on the right, on top of it is the Dead Ghost. Use the mission The Wakening to claim this Dead Ghost. Continue through the mission, passing through the darkened hallway called the Chamber of Night and into the large open room and up the stairs. As soon as you go up the stairs you will need to pass a massive object by going left or right. The Dead Ghost is on top of this big pillar on the opposite side of the door. Use the doorframes to reach the Dead Ghost on top. 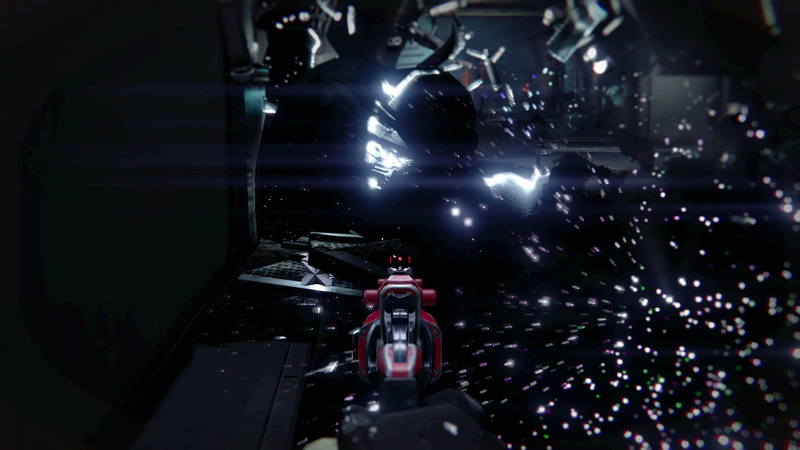 Despite being available in The Dark Blow, this Dead Ghost is easier to collect when using the mission Last Rites, which is only available in The Taken King. 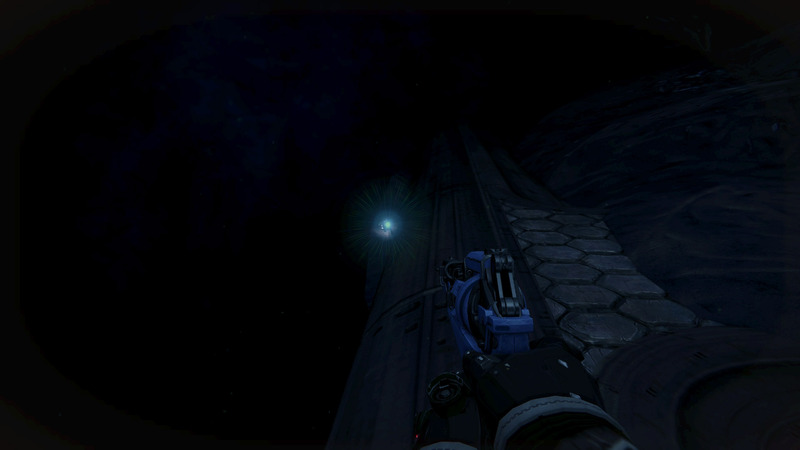 Start the Last Rites mission, and instead of going across the light bridge, turn to your right and jump down a level. Follow the edge of the world along until you reach the Dead Ghost. 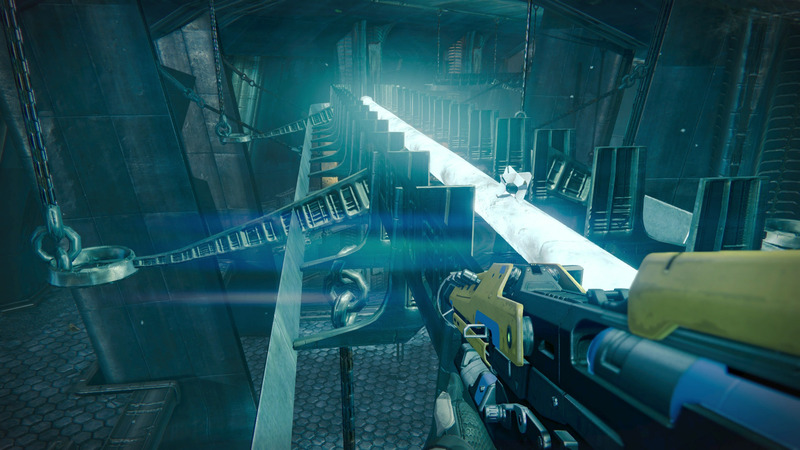 Start the Last Rites mission and travel across the light bridge toward the wall of light. 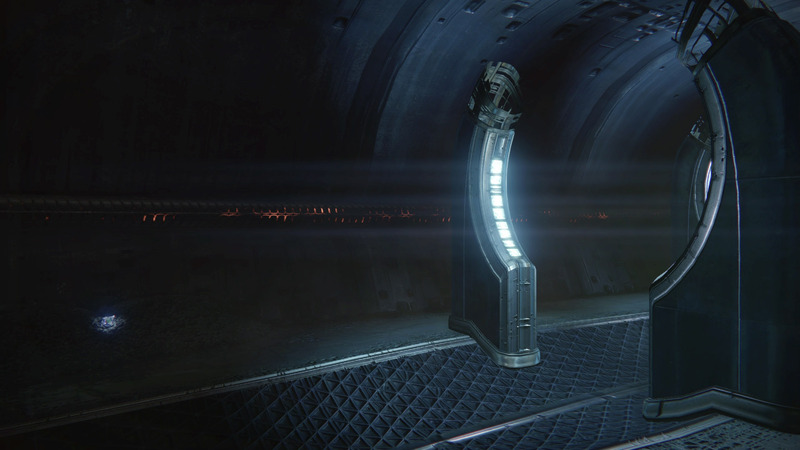 The Dead Ghost can be found on top of a pillar on the left of the tunnel. To easily see this Ghost you may need to turn your brightness down and walk backwards towards the light. 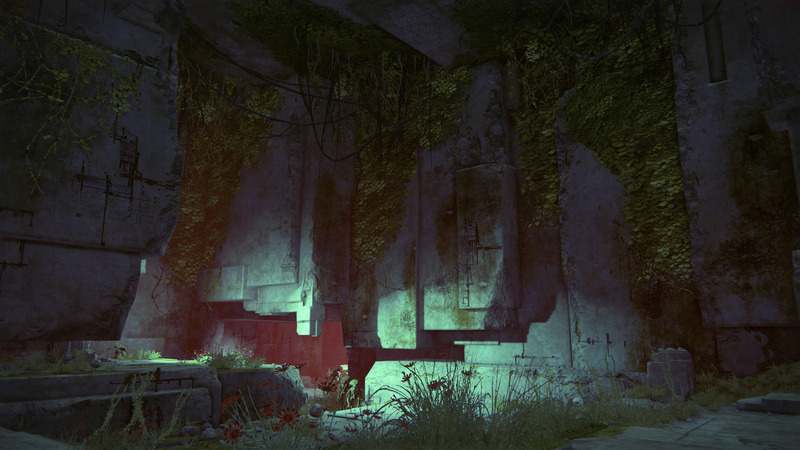 Using the Last Rites mission, continue through the level until you reach the final area with the Deathsingers. Hug the left wall and head up the stairs and inside. You will find the Dead Ghost hanging from one of the lights. 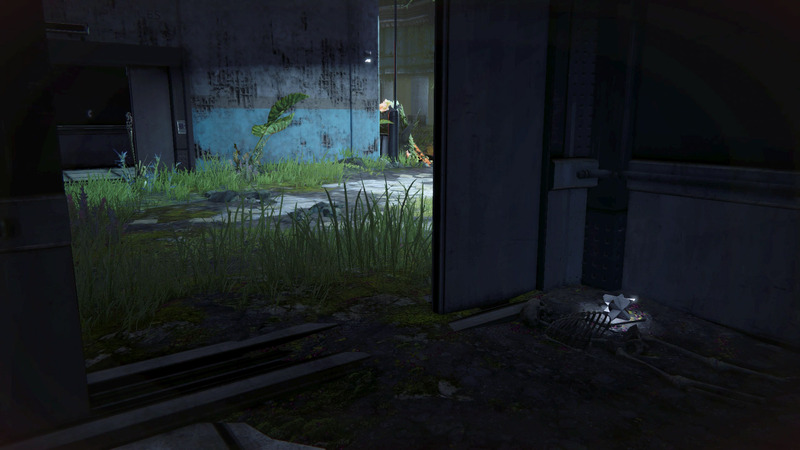 You can find this Dead Ghost by using The Summoning Pits Strike or by using the Blighted Chalice Strike. In the room where you fight Phogoth (the starting room in Blighted Chalice), look up to the roof to see a beam the air being supported by 4 diagonal beams. 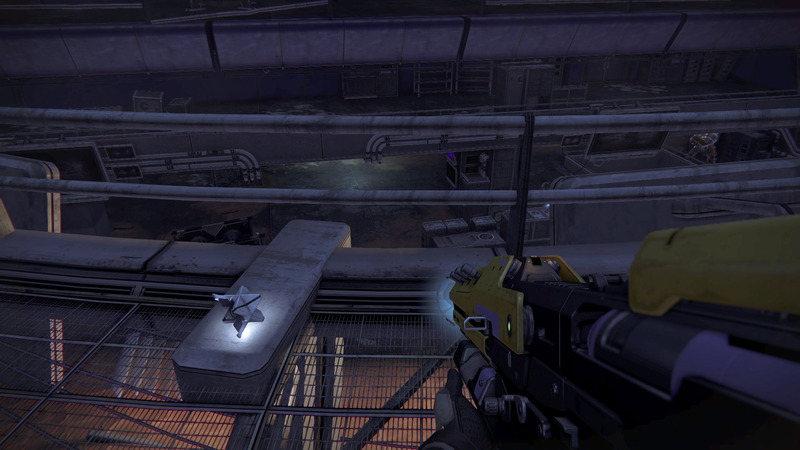 Use the surrounding ledges to reach this beam and claim your Dead Ghost. 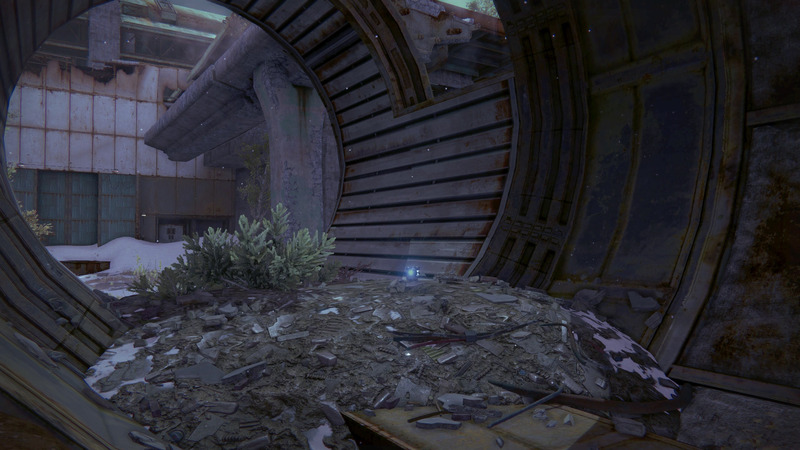 This Dead Ghost can also be found in The Summoning Pits boss room, or at the beginning of the Blight Chalice Strike. 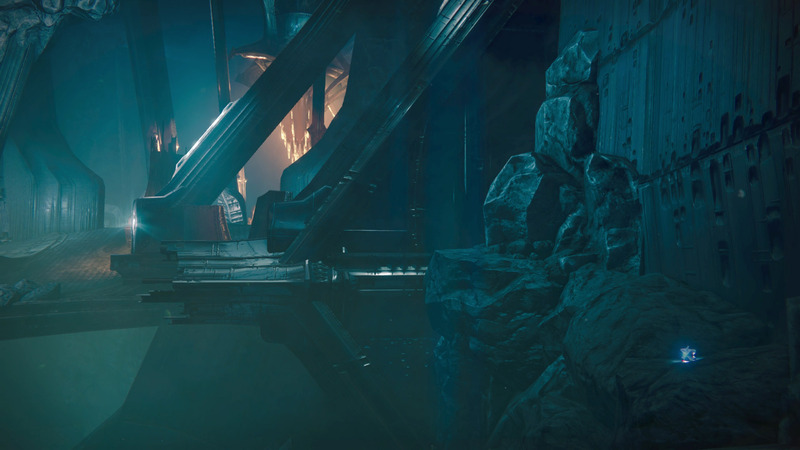 Standing at the entrance of the room for The Summoning Pits, make your way to the back right of the room, or if you’re using the Blight Chalice, from the starting point turn to your left and walk toward the edge of the map. 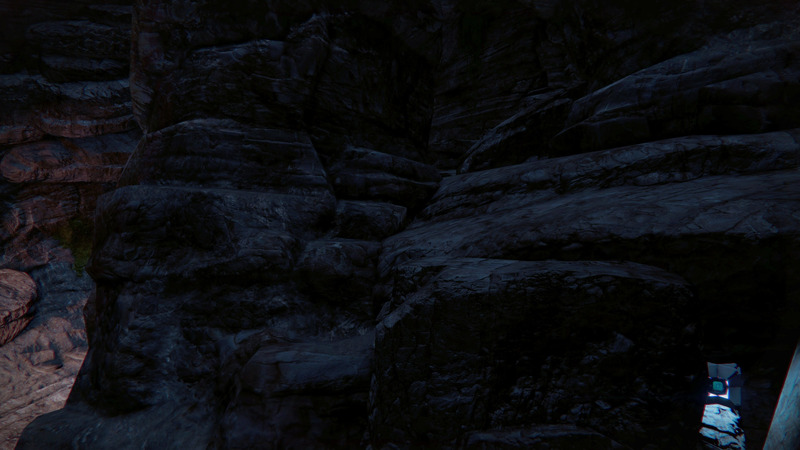 You will need to jump off the edge of the map and use outcroppings on the wall to climb up to claim this Dead Ghost. This Dead Ghost is the first and easiest one to find on Venus! Simply boot up Patrol and head to the left and into the little pools of water. The Dead Ghost is behind one of the rocks in the water. Start at Venus Patrol, head to the right, following the track until you come across what looks like a bus station in the distance. Just before the station are the wrecks of several cars. In the back seat of the car with a red door is the Dead Ghost. 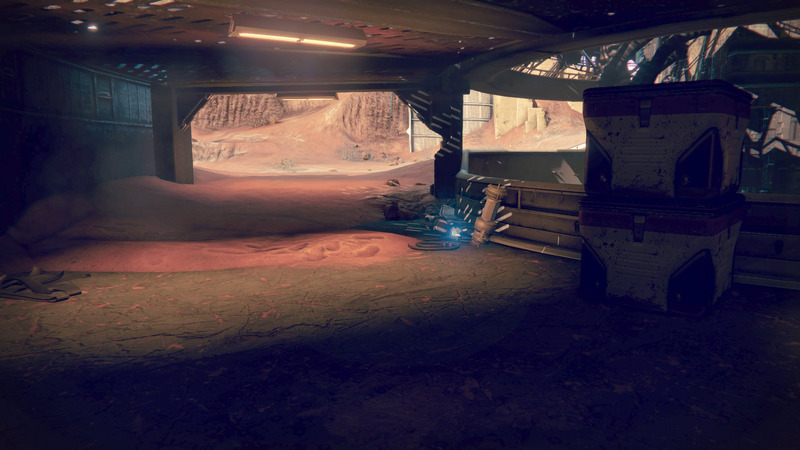 The next Ghost is found in the Ishtar Academy where you first fight the Vex. To find this location, start at Patrol spawn then head to the right. When you see the statue overlooking the cliff, turn left and head inside. 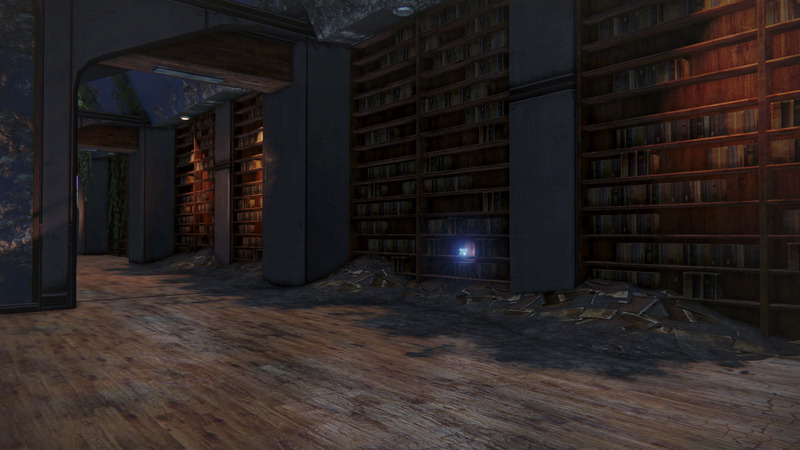 Once you pass through the underground tunnel you will enter a large library with a vaulted ceiling. 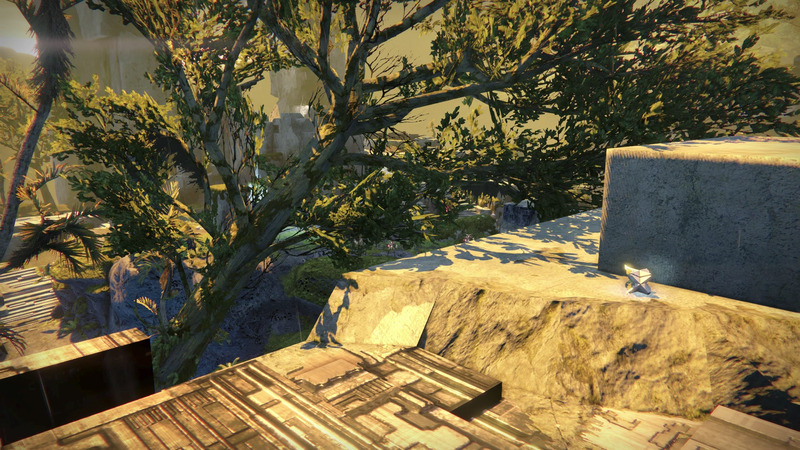 You will need to use the platforms and ledges to make your way to the very top level. Up here on a bookshelf you will find your Dead Ghost. 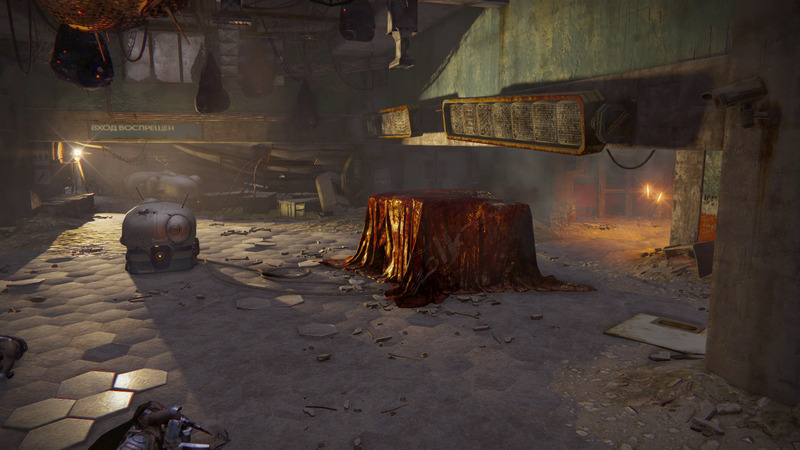 From the Ishtar Academy, move through to the open area with the downed Fallen Skiff. The Dead Ghost you’re looking for is on top of one of the awnings below the red tarps. This Dead Ghost is found in the Hall of Whispers. 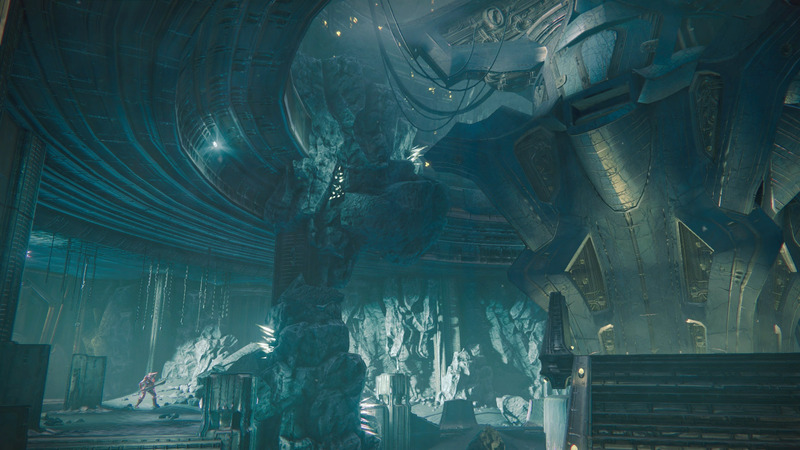 To reach the Hall of Whispers, move through the Ishtar Academy and out to where the Fallen Skiff is crashed. Enter the building on the left to reach the Hall of Whisper. As you enter, turn to your right and head up the stairs. You’ll see the Dead Ghost sitting in the tree. This Dead Ghost can be found in the area with the downed Fallen Skiff. 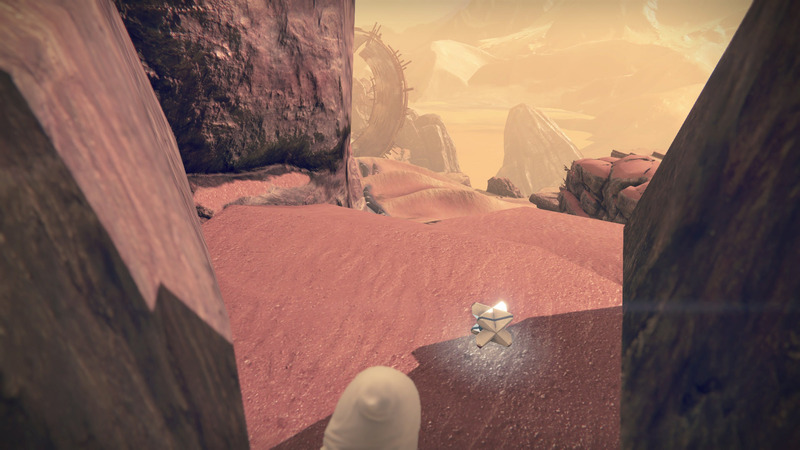 To reach this area, start at Venus Patrol and head right, following the track until you see the statue, then turn left and enter the Ishtar Academy. After passing through the Ishtar Academy you will enter the area with the Skiff. 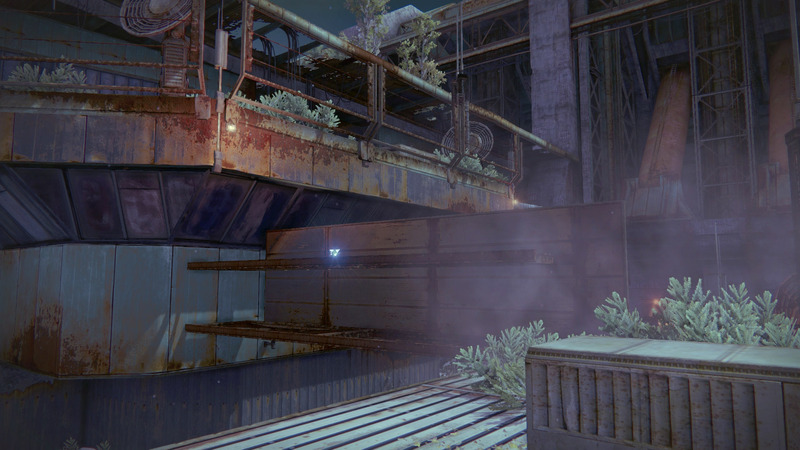 Look for where the Vex Hobgoblins are sniping from the top of the stairs and move to the right. You will come to a few open doors; the Dead Ghost will be in the one closest to the Hobgoblins. This Dead Ghost can be found in the N/GEN Branch. From the Fallen Skiff, head up the stairs and into the building with an “e” on it. 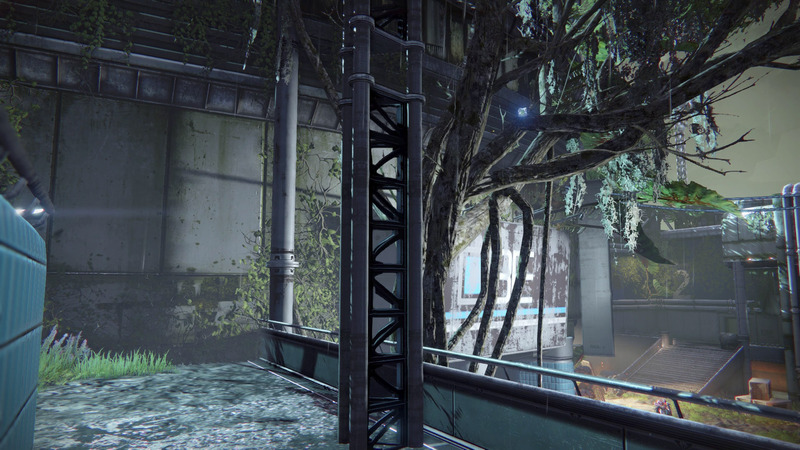 This area should look familiar to you if you’ve played The Nexus Strike. Run up the stairs and find the Dead Ghost behind the terminal near the door. 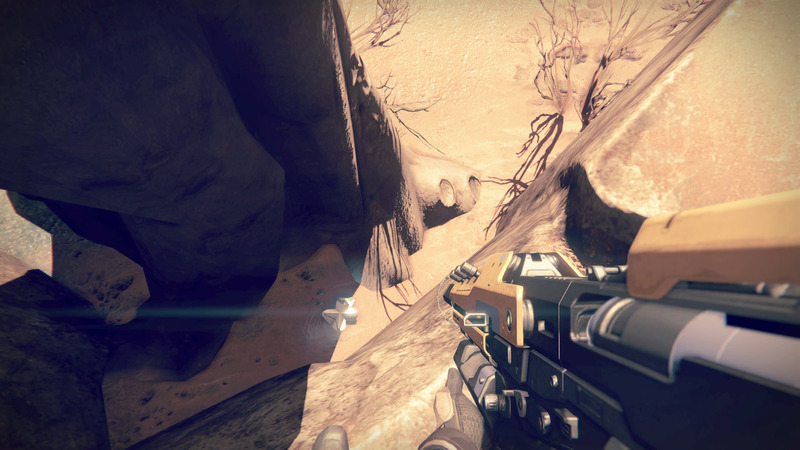 In the Ishtar Cliffs is where you will find the next Dead Ghost. 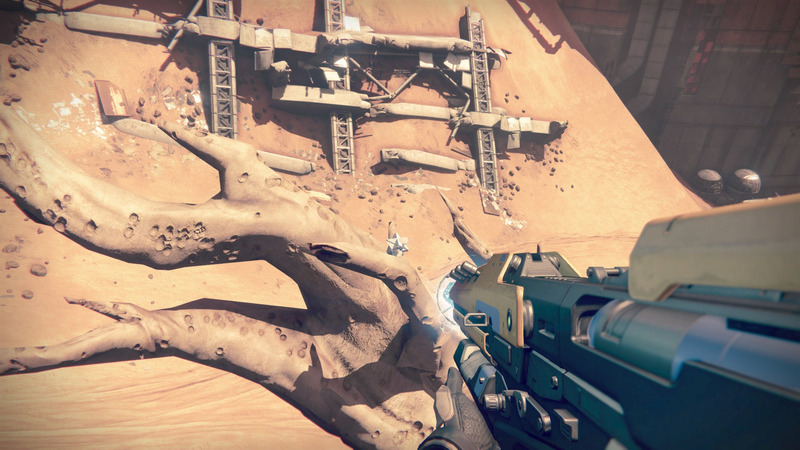 To reach the Ishtar Cliffs from Patrol spawn, head right and follow the shoreline past the statue and along the track. As you reach the Ishtar Cliffs, look to your left, the Dead Ghost will be up on the side of the wall. You’ll need to jump on the environment to reach it. The Waking Ruins is the location of this next Dead Ghost. 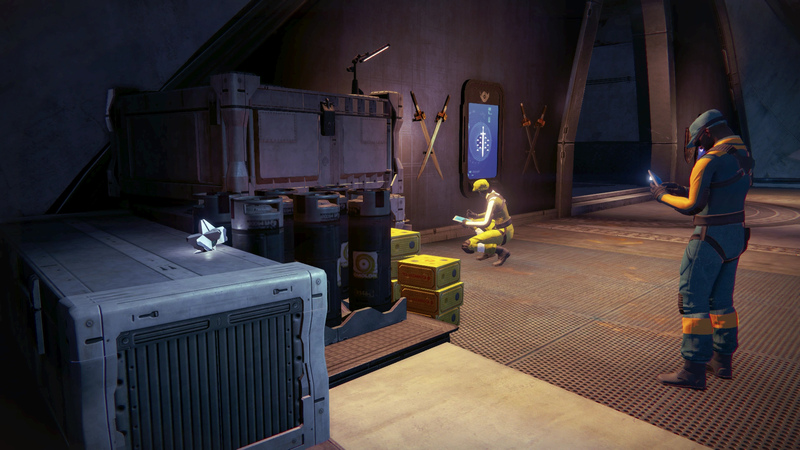 You can claim this Ghost in Patrol or in the Vault of Glass Raid. 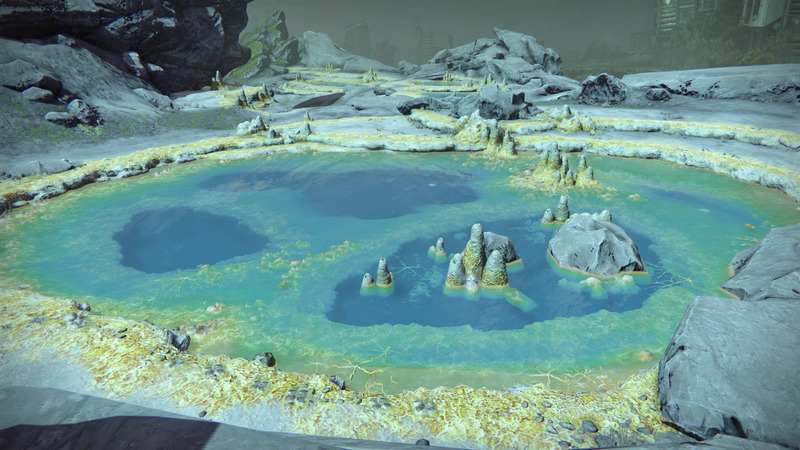 To reach the Waking Ruins from Patrol spawn, head to the right and follow the coastline around, past Ishtar Cliffs and you will reach Waking Ruins. 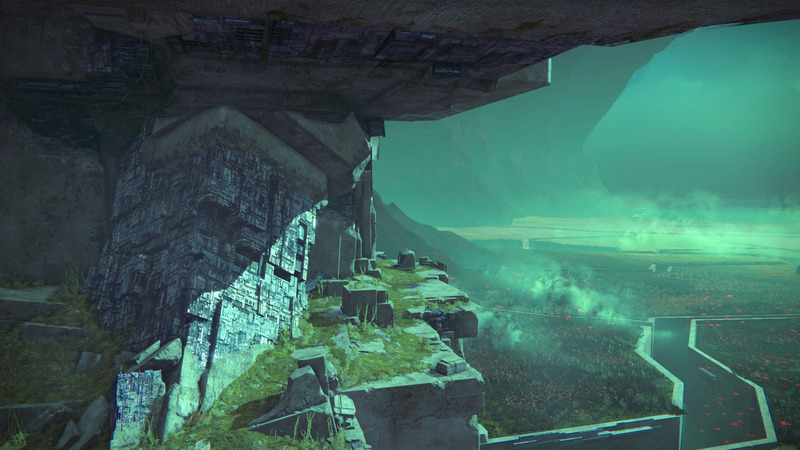 As you enter the Waking Ruins you will see the entrance to Vault of Glass, head up to the right to the Vex gate on top of the plateau. On top of the bricks you will find your next Dead Ghost. 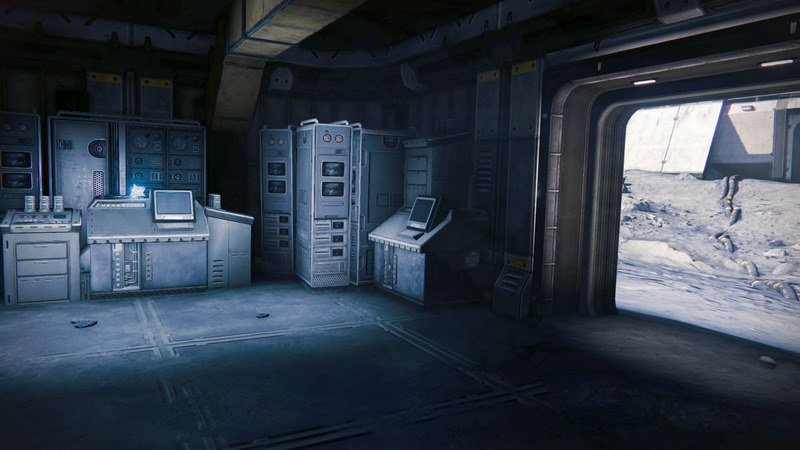 The next Dead Ghost can be found in the Campus 9 area in what appears to be a research base. Campus 9 can be reached from the Waking Ruins, or you can be directed there by playing through the Story mission, Eye of a Gate Lord. You’ll know you’re in the right area when you see a building with a satellite and a big antenna with smaller dishes attached to it. Move to the building closest to the edge and, by using its roof as a starting point, jump up and onto the land making your way to the pale bricks. You’ll find the Dead Ghost up here overlooking the area. This next Dead Ghost can be found in the Endless Steps. You can use either Patrol or the Story mission Eye of a Gate Lord to reach this area. Using Eye of a Gate Lord is easier as the game will direct you to the correct location, but if you know where the Endless Steps is, just make your way there. 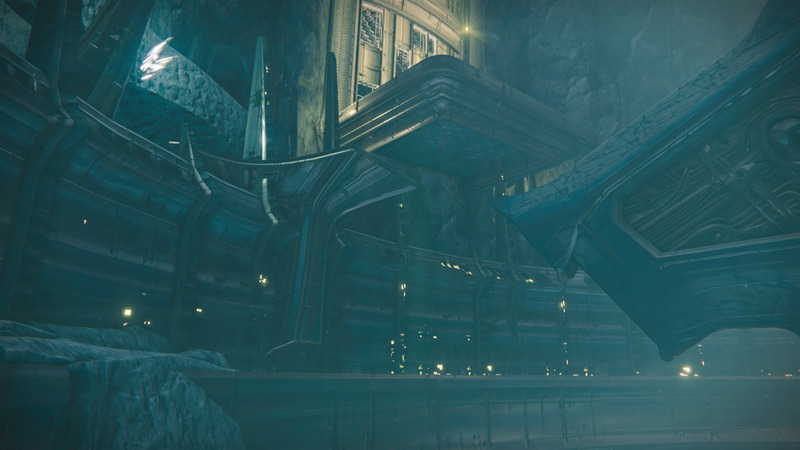 Entering the Endless Steps you will see the massive Vex gate overlooking Venus. Head to the left side of the area and look for the largest tree growing out near a few flat rocks. You will need to do some tricky jumping to reach this Dead Ghost as you’ll need to clamber from the rocks, onto the tree, then onto the brick structure. 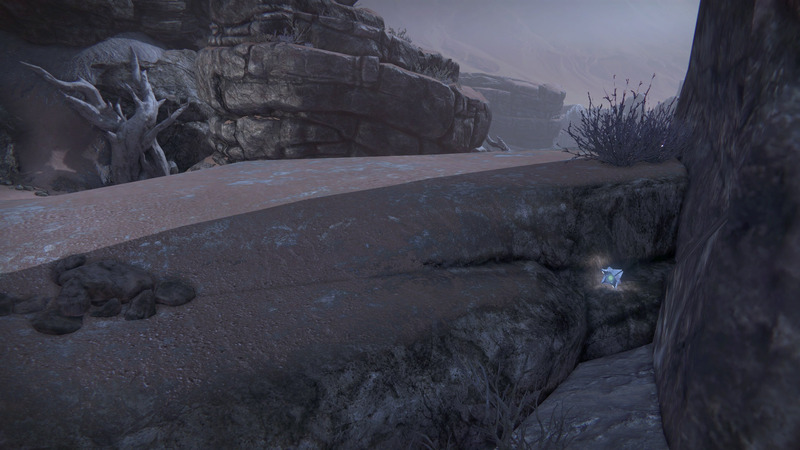 This next Dead Ghost can be found by heading to the left from the Venus patrol spawn point and moving into the Ember Caves. 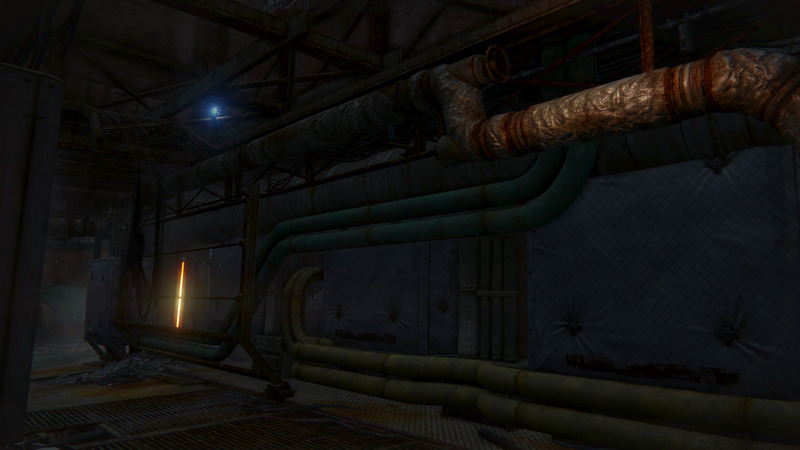 As you enter, head to the back of the area, past a few Fallen Vandals and Dregs and look for pools of liquid. Behind these pools of liquid is a cave hidden in the wall. It’s in this cave where you’ll find the Dead Ghost. This next Dead Ghost can be found in the Winter’s Lairs area. 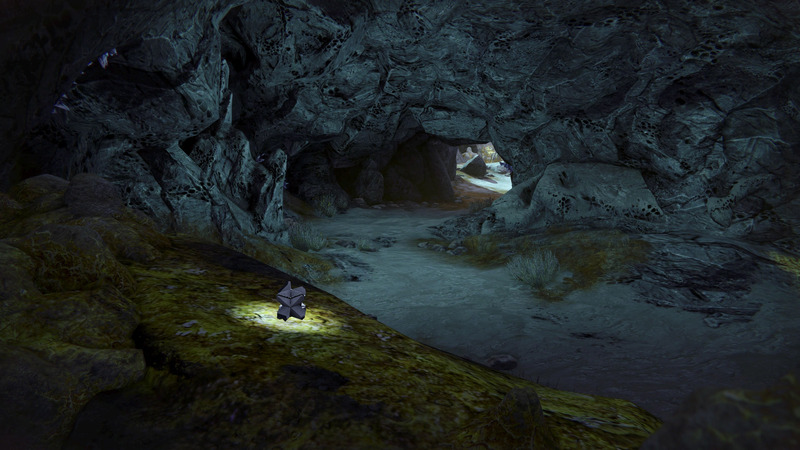 From Patrol spawn, head to the left to reach the Ember Caves. 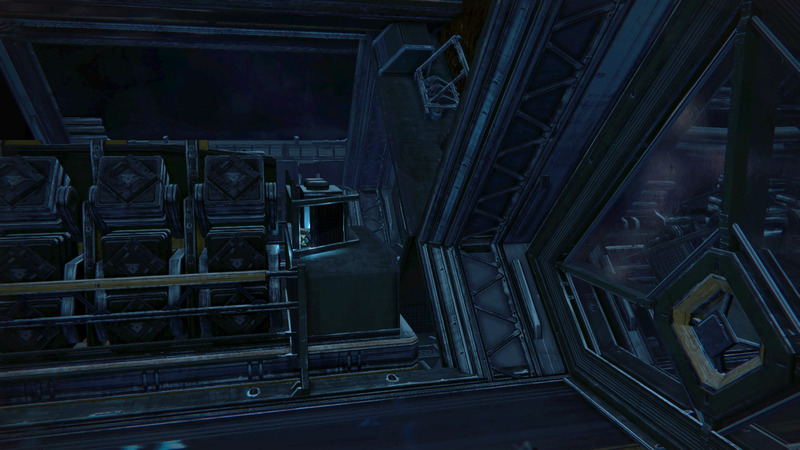 Then head up onto the metal platforms and into Winter’s Lair. Exit the cave system into the area with the metal plates and nets. Stick to the left side of the area and you’ll travel up into a well-concealed cave. You will find the Dead Ghost in this cave. 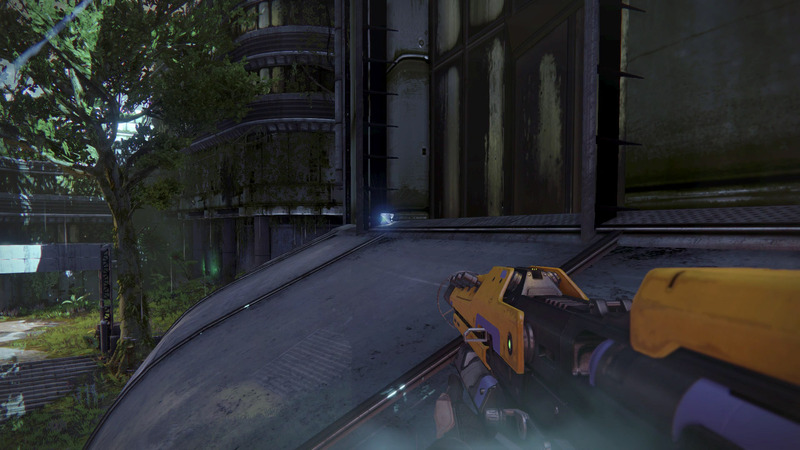 You will need to use The Nexus Strike to reach this Dead Ghost. 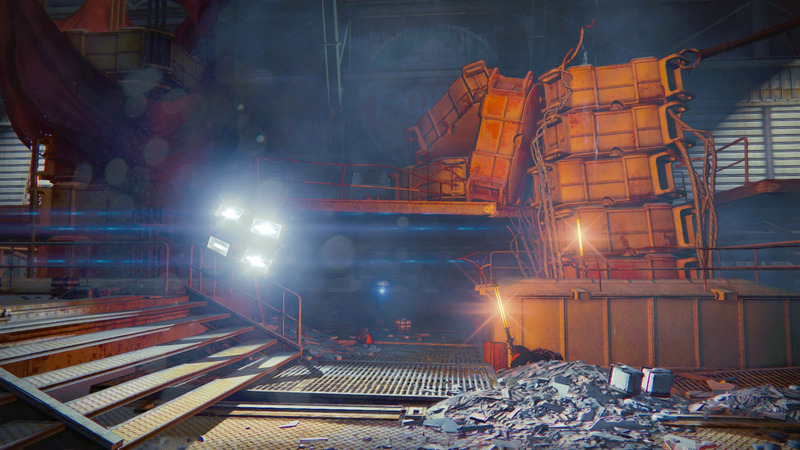 Fight your way through the Strike until you reach Dig Site 4. You’ll know you’re in the right area when you see a cylindrical tube in the middle of the room with some rock in it. In one of the adjoining rooms you will find the Dead Ghost in a sink. 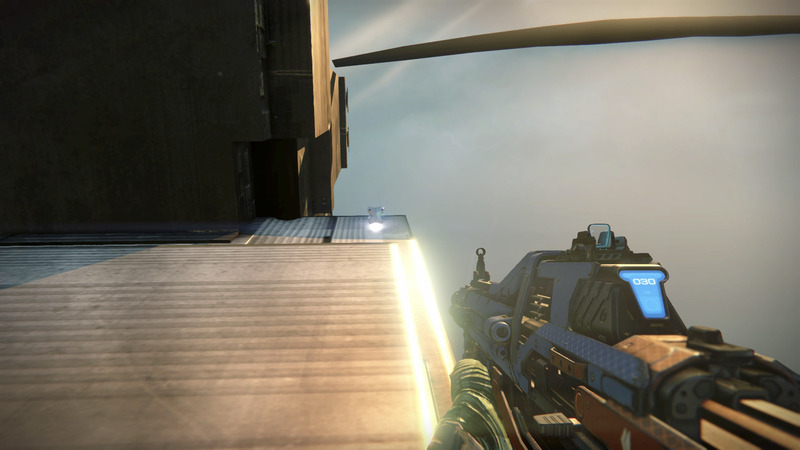 You must have House of Wolves to claim this Dead Ghost. 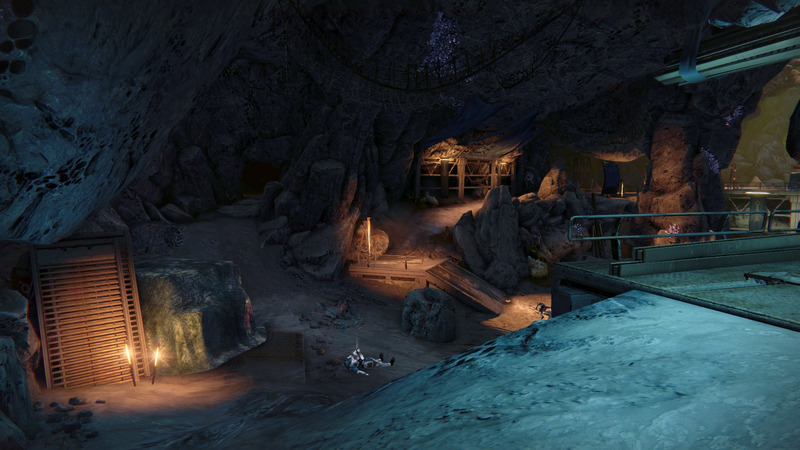 Boot up the mission Queen’s Ransom and head through the level, fighting through the Fallen and go up the gravity lift. When you exit the gravity lift, turn around and jump on the blocks behind the lift. You will find the Dead Ghost behind one of the pillars. Boot up the mission Queen’s Ransom and head through the level, fighting through the Fallen and going up the gravity lift. 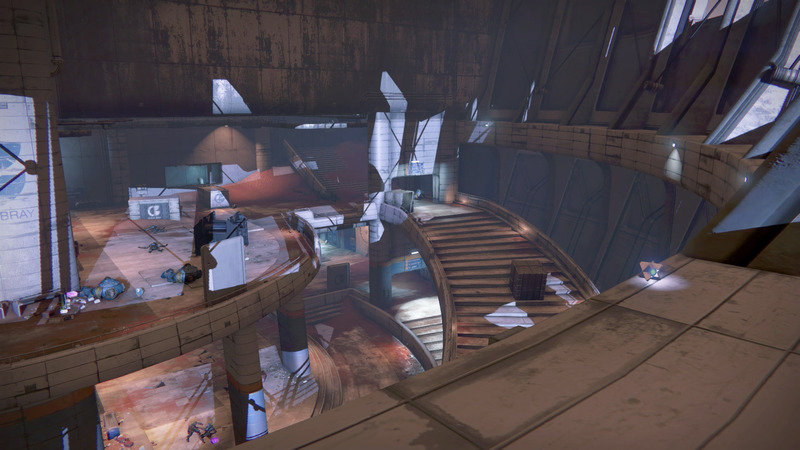 Head across the jumping puzzle then hang left. You’ll find the Dead Ghost toward the outer edges of the map. 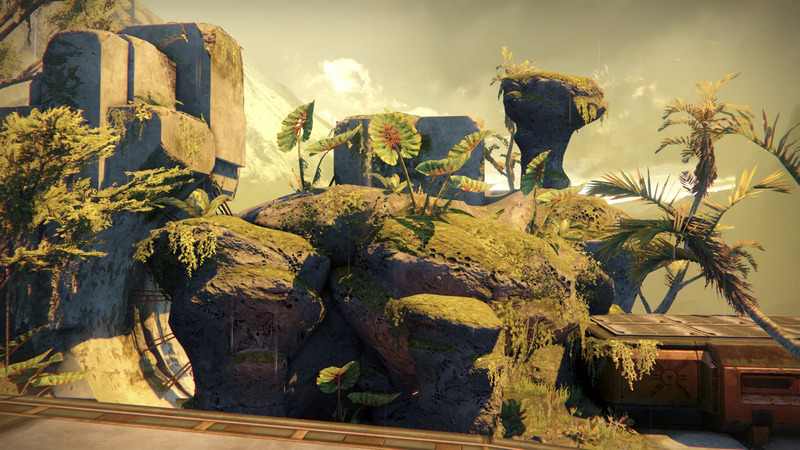 After passing the jumping puzzle, look to your right to see part of the terrain with some flags attached to it. 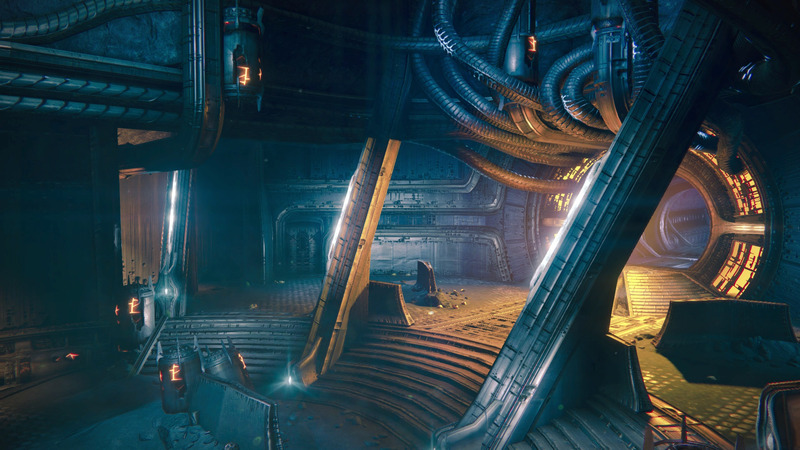 Make your way to the last of the outer right blocks before the Vex gates. On this block you will find the Dead Ghost. 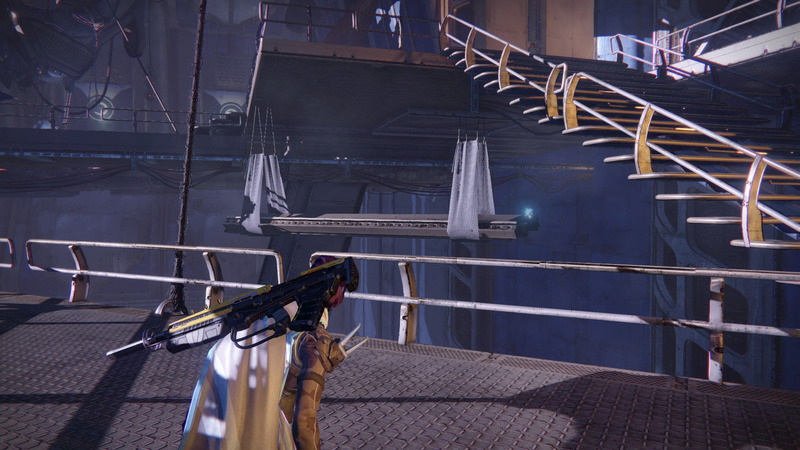 This Dead Ghost is found in the Echo Chamber Strike. When you enter the boss room, check in the ceiling to find this Dead Ghost. This Dead Ghost is found during the Heroic version of the Paradox mission. You cannot die when in a Darkness Zone else the Dead Ghosts will disappear. This Dead Ghost can be found by traversing through the secret path after Trial of Kabr. Fall off the edge and enter the underground pathway. Continue through this area until you see the red light. Check behind the next corner on the right to find the Dead Ghost. This Dead Ghost is found after you clear out the waves of enemies in the Templar’s Well. Head to the left side of the area and find the hole in the wall, jump up into the hole and down through the floor to access the alternate route. Continue down this route until you see a pillar with a light attached to it. Behind the pillar but before the next drop down, you can find the Dead Ghost. 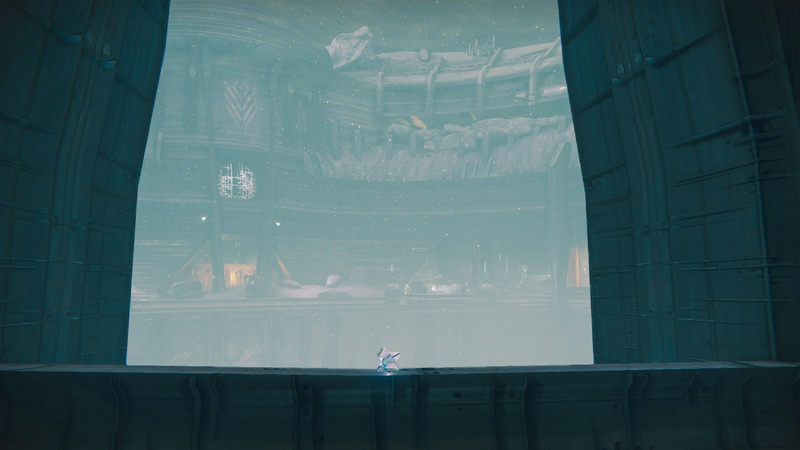 After you defeat the Taken Hydra in the Gorgons’ Labyrinth, instead of scanning Praedyth’s body, head to the exit of the Gorgons’ Labyrinth and toward the jumping puzzle. 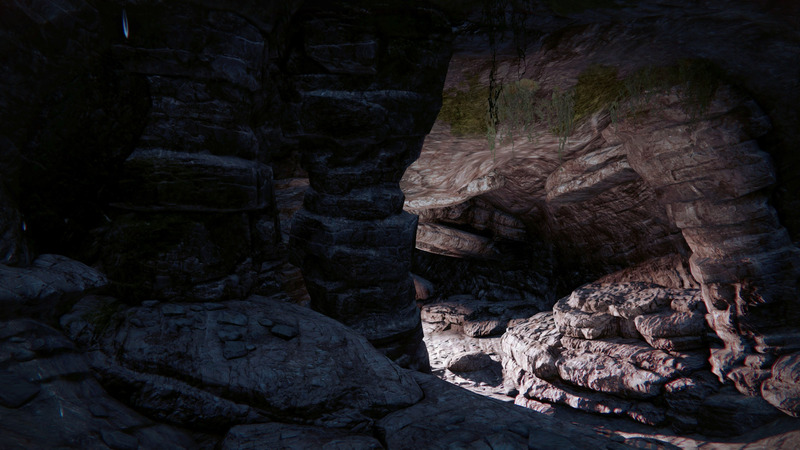 Take the left path through the caves, dropping down to where a little cave is located. In this cave is the Dead Ghost. Continue through the Paradox mission, ignoring the normal ending and instead exit the Gorgons’ Labyrinth and head through the jumping puzzle area. 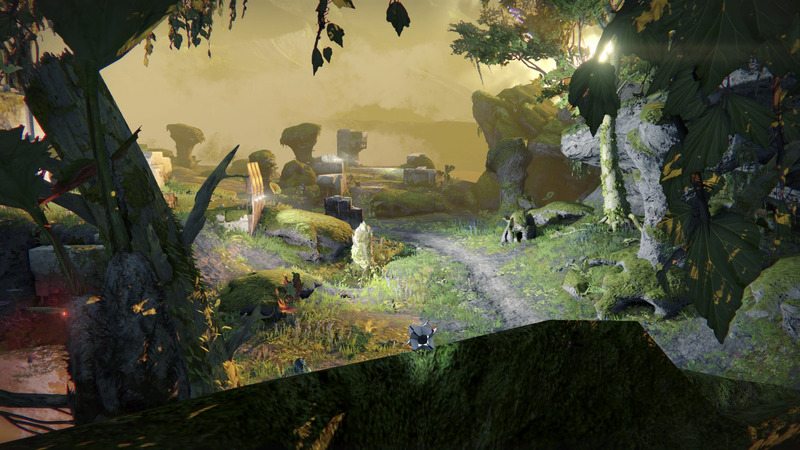 The path will take you to the broken Vex gate in the distance and you will be teleported into the forest version of Venus. You will have to kill the boss before the door at the back of the room will open, allowing you access to a Loot Chest that contains a Ghost. 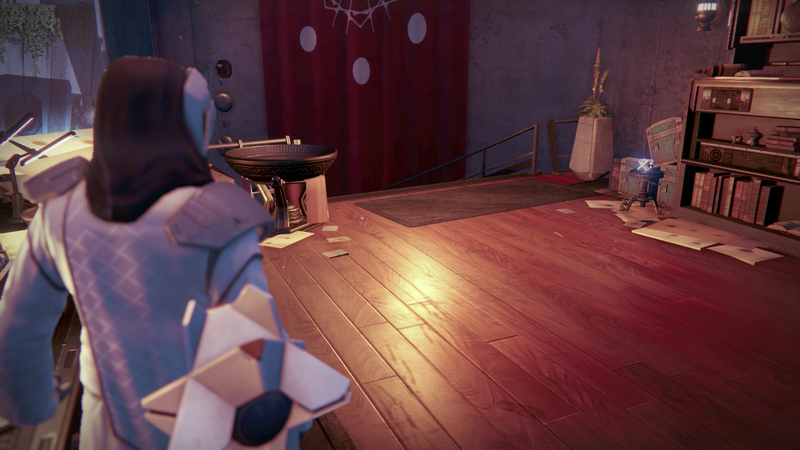 Take this Ghost to Lakshmi-2 at the Future War Cult to receive this Dead Ghost grimoire card. 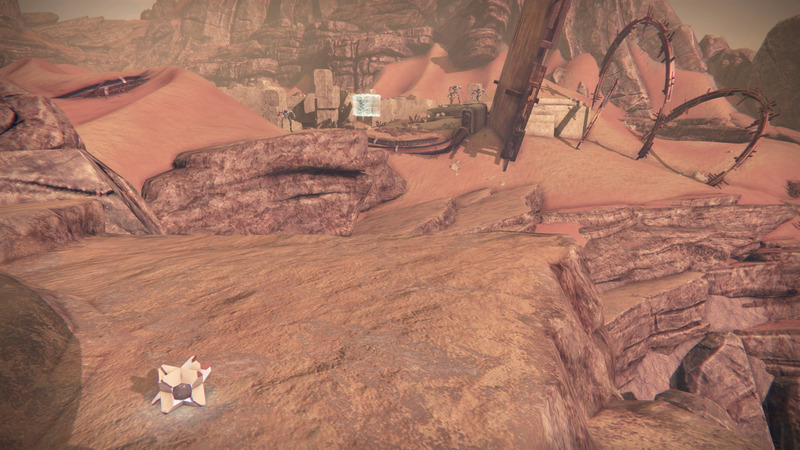 The first Dead Ghost you can find on Mars is located just a short drive away from Patrol spawn. After you fly in, head to your left and over the cliff. Turn around and you’ll see a little round-roofed building in the sand, go instead and find the Dead Ghost on some boxes. The next Dead Ghost can be found in the area called The Hollows. 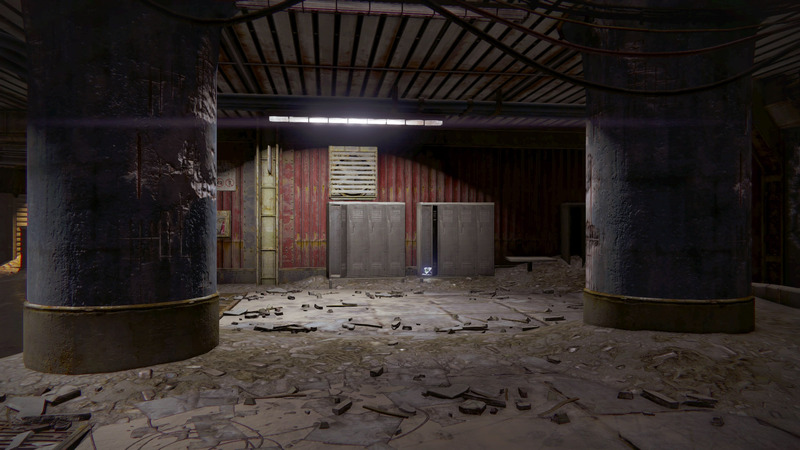 Move through the tunnel to the left of Patrol spawn. Once you exit the tunnel you will need to enter the round building in front of you. Once inside, make your way up to the top level by using the environment to jump up. This Dead Ghost can be found in the Dust Palace. 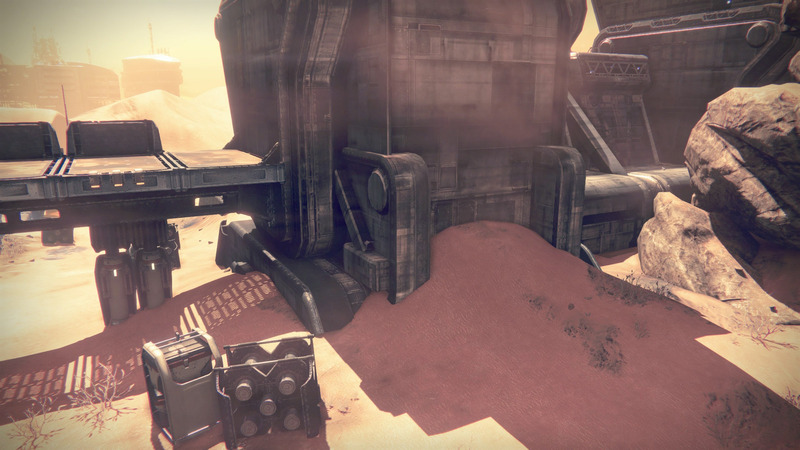 To reach the Dust Palace, head left from Patrol spawn, moving through The Hollows and head toward the round building. Instead of entering into the broken front section, move around the right side of the building and enter through the door. Progress through the building until you reach the Dust Palace. You’ll enter a location with curving stairs on the other perimeter. The Dead Ghost can be found up above the stairs overlooking the room. The next Dead Ghost can be found in the Atrium. 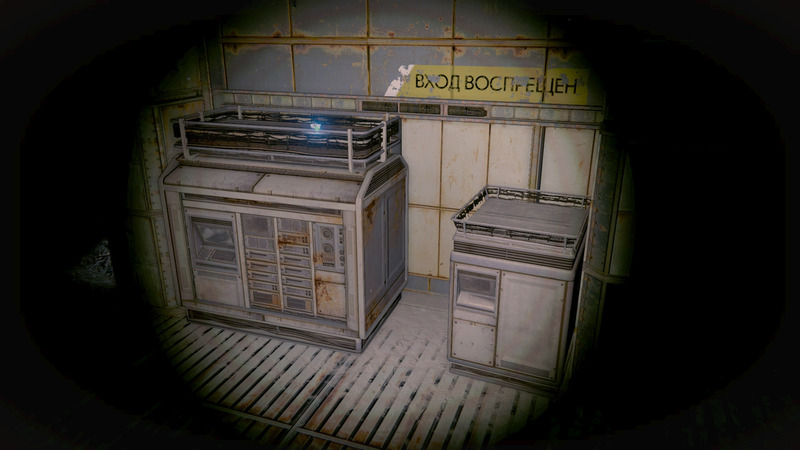 Continue through Dust Palace and into the Atrium then through a doorway labelled “Clovis Bray Exoscience”. Turn left at the red wall and find the Dead Ghost under a desk. 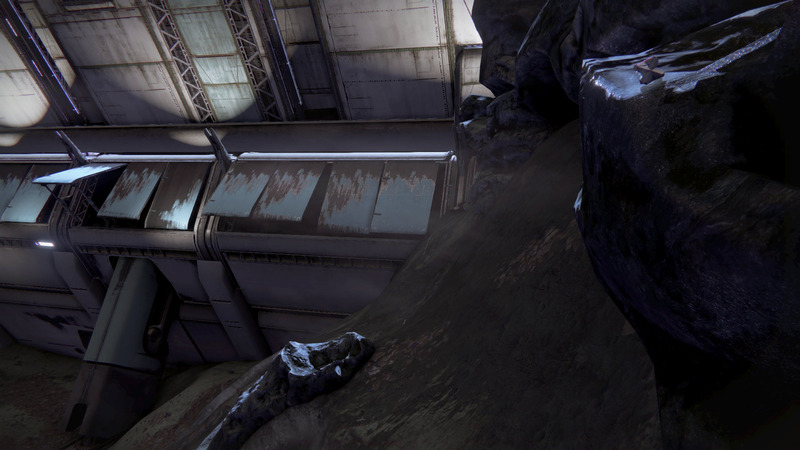 You can find this Dead Ghost in The Buried City which is to the left of Patrol spawn, and through The Hollows. As you enter The Buried City you will see a sign with the letters “OWT”. The Dead Ghost is behind this sign on the roof. You will need to climb up using the surrounding objects. To find this Dead Ghost you will need to head into Freehold Station until you reach the area where your Ghost activates his flashlight. Look for TVs that are attached to the pillars, the Dead Ghost will be on one of them. Tharsis Junction is the area you want to find to claim your next Dead Ghost. 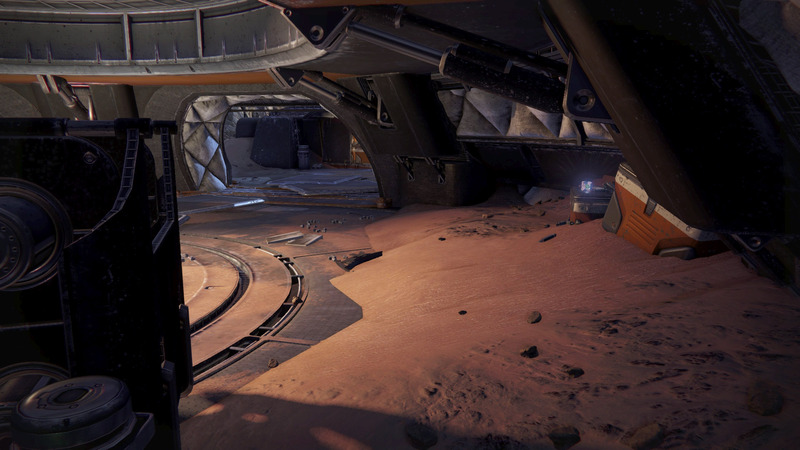 Tharsis Junction can be found deeper within Freehold Station, which is to the left of Patrol spawn past The Hollows. Continue into Tharsis Junction until you reach the trains. 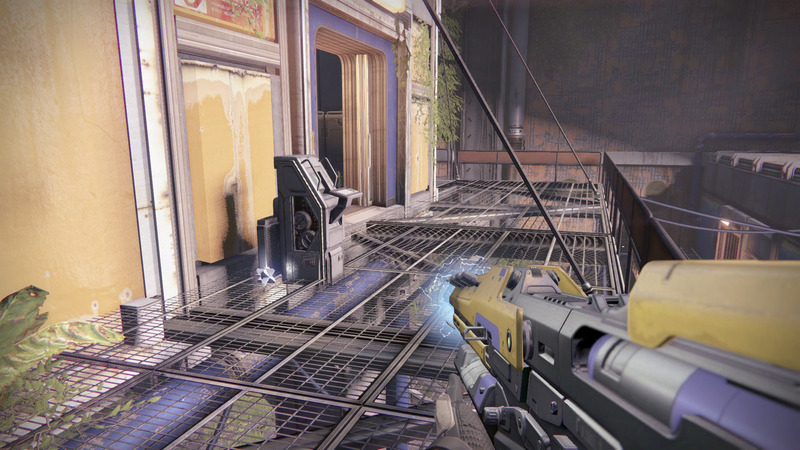 You will pass through a chain-linked fence just past the first Vex portal. Turn right to find the Dead Ghost on top of a pile of sand next to the fence. 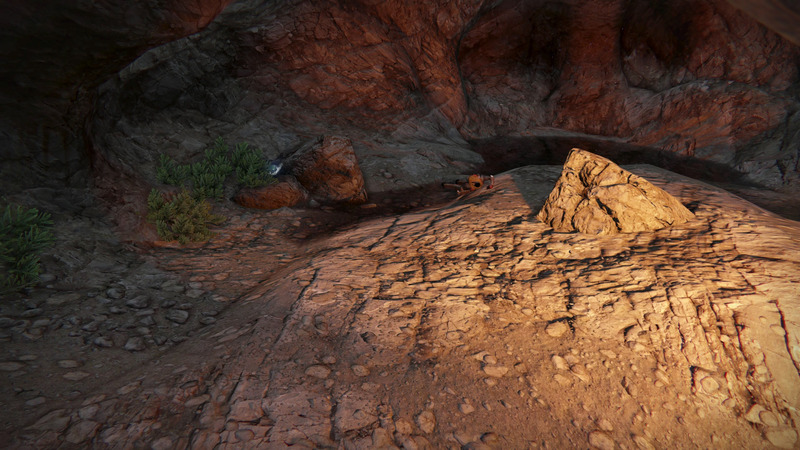 This Dead Ghost can be found in The Drift, an area between The Buried City and the Scablands. There is a tree on the side of the valley, climb it to find the Dead Ghost in its branches. To find this Dead Ghost, start at Mars Patrol and head to your right and into the Scablands. As you enter the Scablands, turn to your right and move under the bridge and then turn left. The Dead Ghost will be on the wall in the corner. Move to Firebase Rubicon to find this next Dead Ghost. Firebase Rubicon can be found by heading into the Scablands from Patrol and then passing under the bridge and winding through the valley. 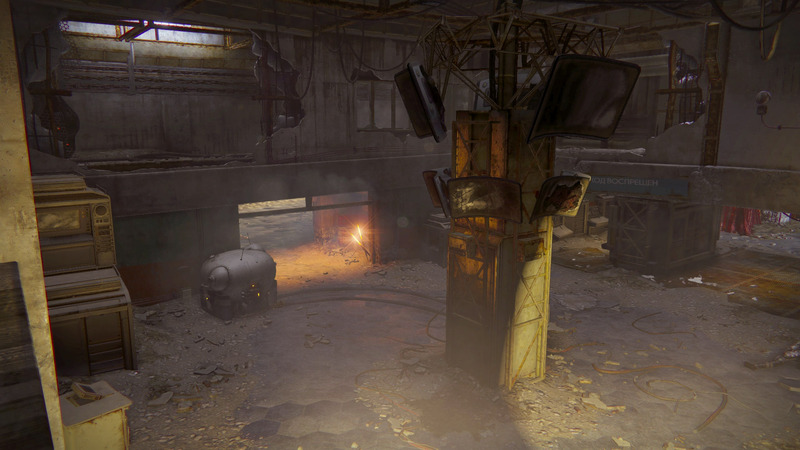 As you enter Firebase Rubicon you will want to hug the left wall and move to the other side of the area. If you stick to the left, you should reach the entrance to an obscured cave that takes you into a small area with a tree and a crate. The Dead Ghost you’re looking for is behind the tree. You will need to move into the Iron Line to find this next Dead Ghost. 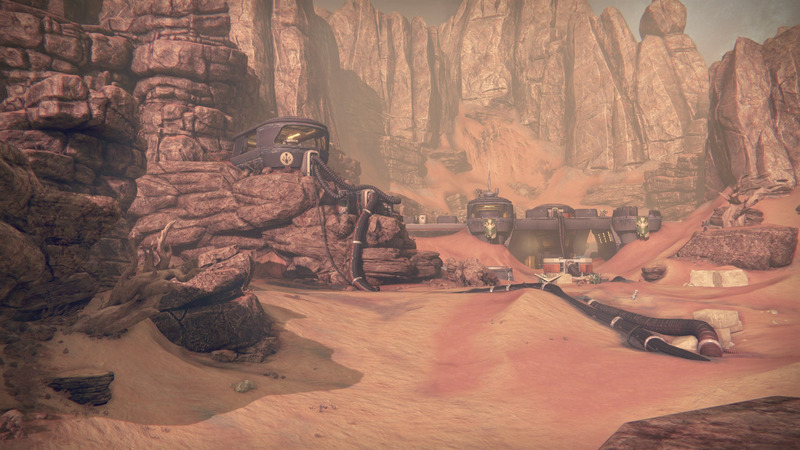 To find the Iron Line, start at Mars Patrol and move right into the Scablands, then right again toward Firebase Rubicon. 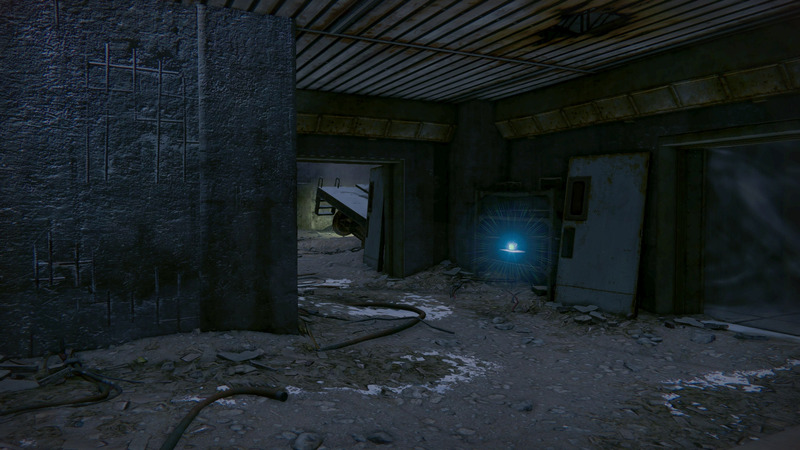 Continue through the underground tunnel until you exit into the Rubicon Wastes. Cut across this area, moving past the Colossus and into the Iron Line. There will be a large door in front of you, you will need to make your way on top of this door by using the crates, pipes and platforms next to it. 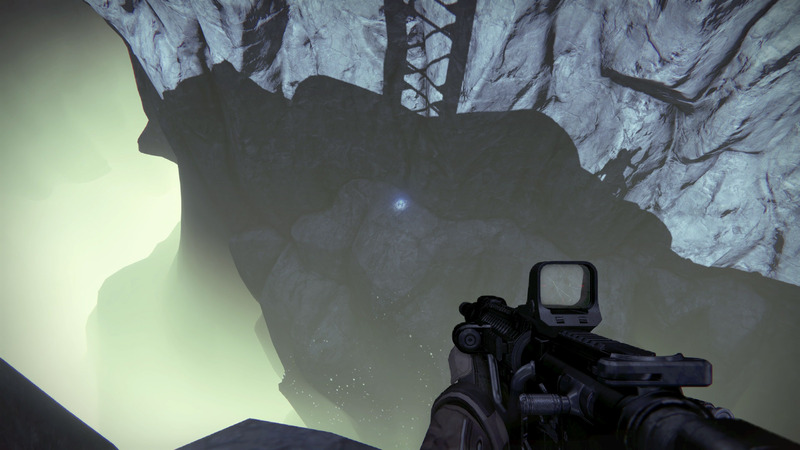 The Dead Ghost is actually above the area up some platforms and hidden in the rocks. It will take some skillful jumping to reach it. The next Dead Ghost can be found in the Trenchworks. 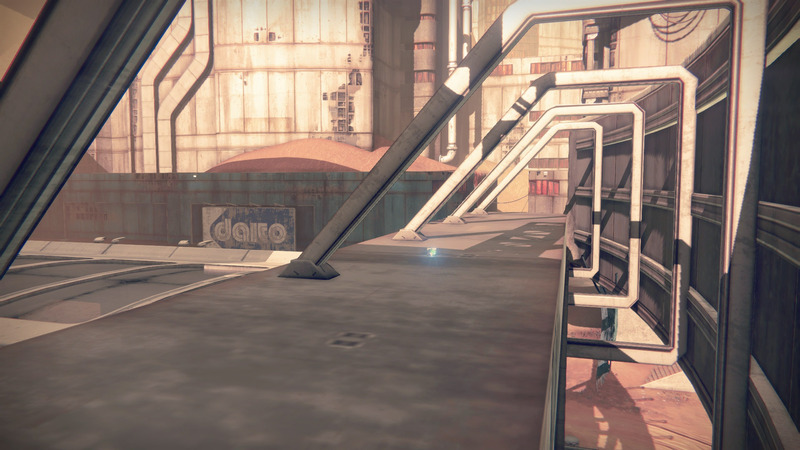 This area is accessible through both Patrol and through the Cerberus Vae 3 Strike. After you pass through the Iron Line you will come outside, stick to the right hand side of the area and climb some of the rocks. The Dead Ghost can be found wedged between the earth and the wall. The next Dead Ghost can be located in the Giants’ Pass. To reach this area you will need to head right from Patrol spawn, through the Scablands and continue on until you reach the Giants’ Pass. 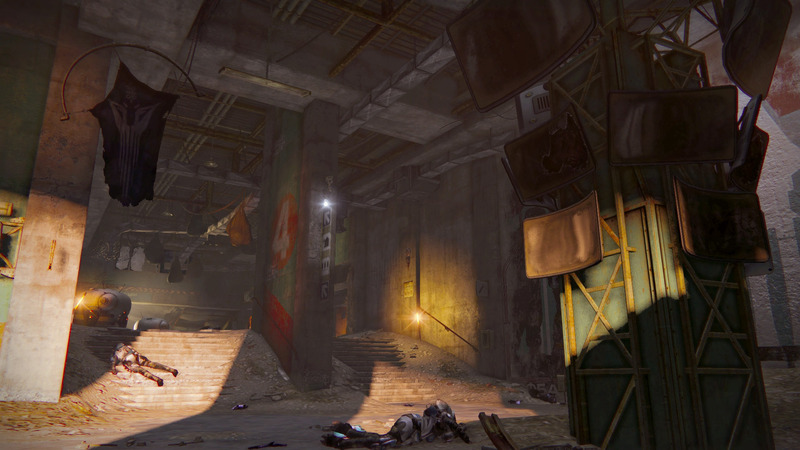 As you enter the Giants’ Pass, continue along until you find a group of Cabal around some buildings. Look to your right to find a large tree overlooking the area. Make your way up to this tree and check around its roots to find the Dead Ghost. Head to the Valley of the Kings to find the next Dead Ghost. 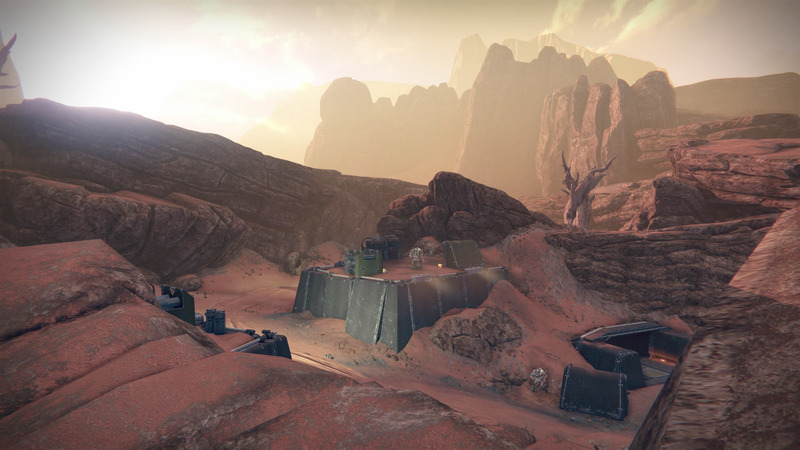 To reach the Valley of the Kings you will need to head right from Patrol spawn, through the Scablands and through the Giants’ Pass. 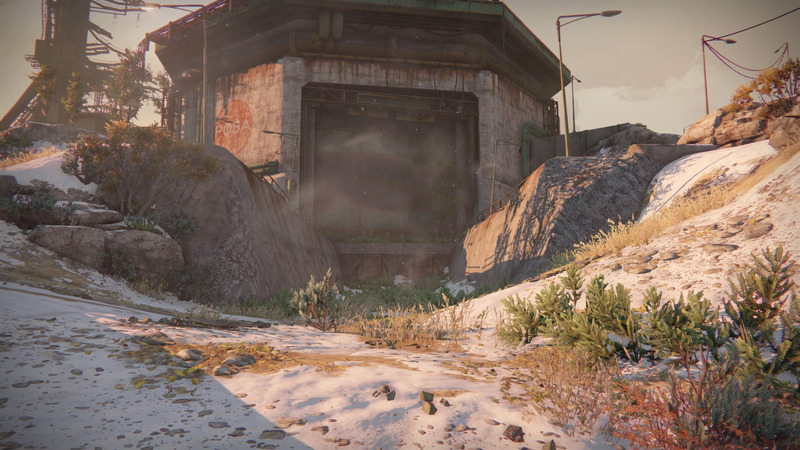 Look for the giant broken Vex gate and follow the cliff’s edge until you reach the Dead Ghost. This Dead Ghost will be found in the Valley of the Kings, look for the watchtower set high along the cliff. Make your way up to and behind this watchtower. The Dead Ghost you’re after will be on the cliff behind it. To access this Dead Ghost you will need to load up the mission, The Gardens Spire and continue through the mission until you reach the very end. 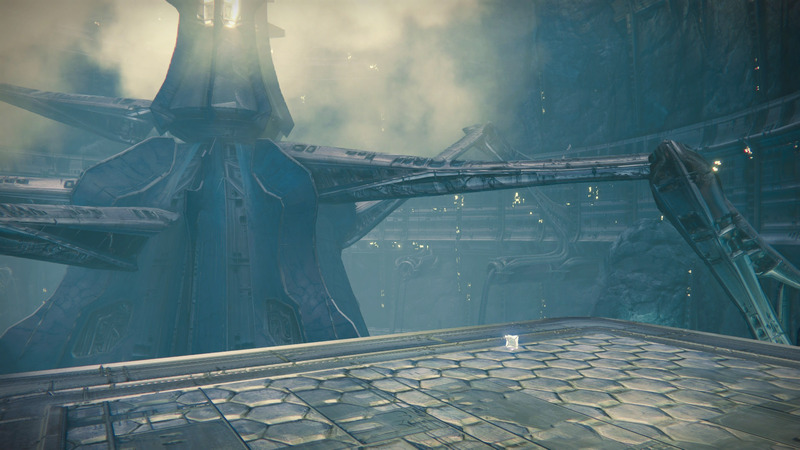 You will find the Dead Ghost below the brick spire in the center of the arena. To find this Dead Ghost you will need to play through the Story mission, The Black Garden. 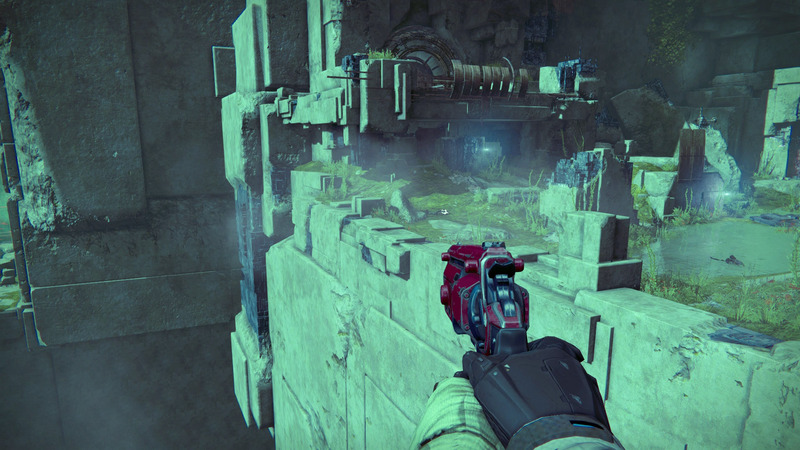 Play through the mission but stop when you pass through the giant Vex portal. Turn around and enter the room behind you. In this room are two giant statutes built into the wall. The Dead Ghost is on top of one’s head. This Dead Ghost is also available in the Story mission, The Black Garden. 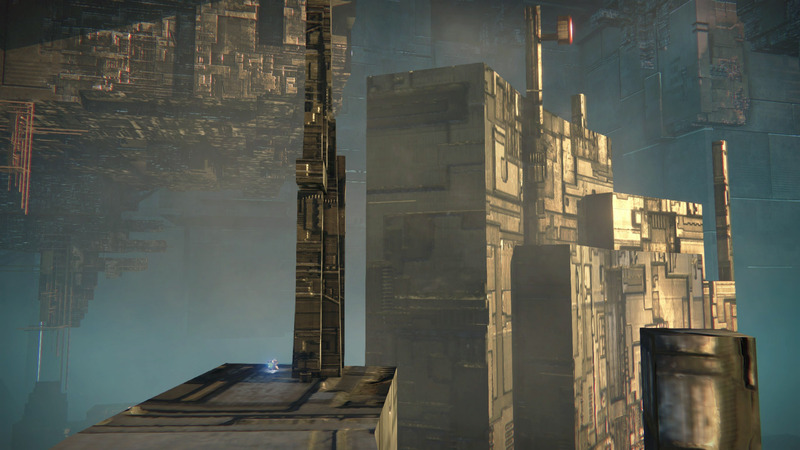 After heading through the giant Vex portal, stop and look at the wall in front of you. The Dead Ghost can be found on a ledge on this wall. This Dead Ghost can be found by using the Story mission, The Black Garden. 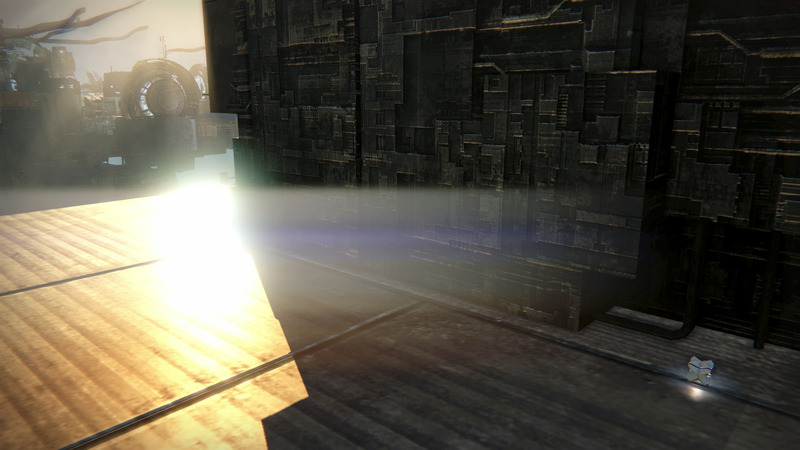 Continue through the mission until you come across a stairway leading up into a bright light. Move through the doorway and outside, taking care to move along the edge of the map. You will come across what appears to be a pillar that has fallen over. The Dead Ghost can be found within the nooks and crannies of this pillar. You can find this Dead Ghost by using the Story mission, The Black Garden. 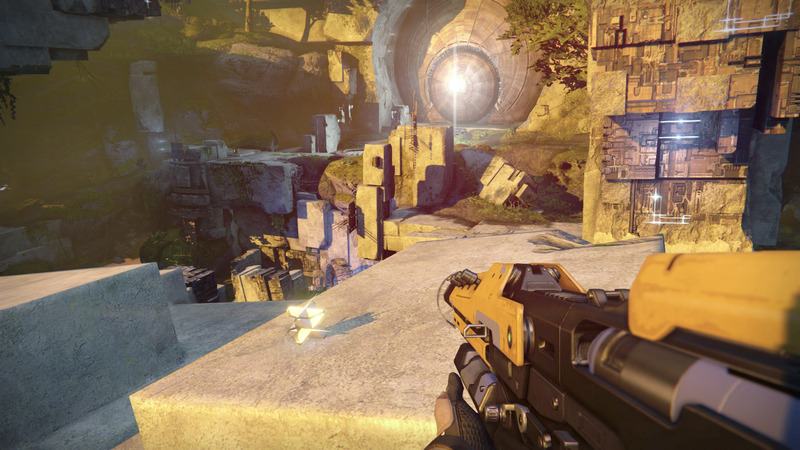 Continue through the mission, passing into the Vex gate. Continue through the tunnel systems until you reach the long stairs leading back up and outside. As you exit the tunnels, stick to the left side of the cliff. To reach the Dead Ghost you will have to move to the back left overlooking the cliff and jump off the edge and onto a lower platform. It’s here that you’ll find the Dead Ghost. Start the Story mission, The Coming War. The Dead Ghost can be found in the very first area before heading inside. 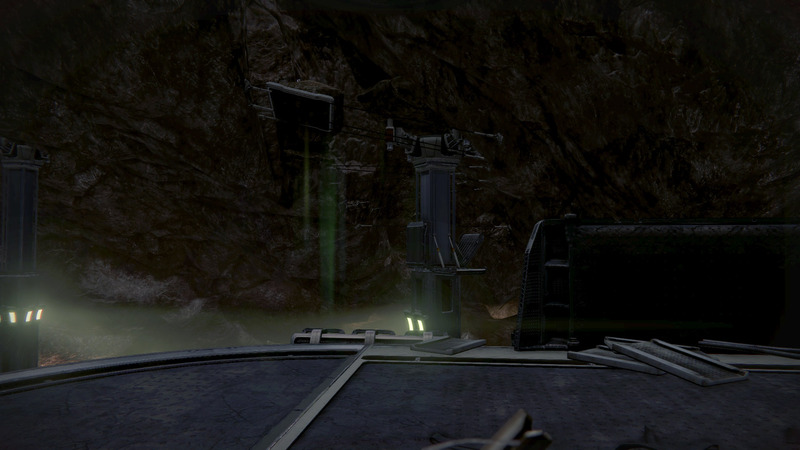 Head down the hill past the Cabal dropship, and instead of continuing forward inside, turn right and head up the hill. The Dead Ghost can be found at the very top on a rocky outcropping. You can find this Dead Ghost in the Story mission, The Coming War. Continue through the mission until Eris says “The whispers are louder. I will endure!” A Cabal will be taken in front of you; behind it is a Cabal on the ground with the black goo. 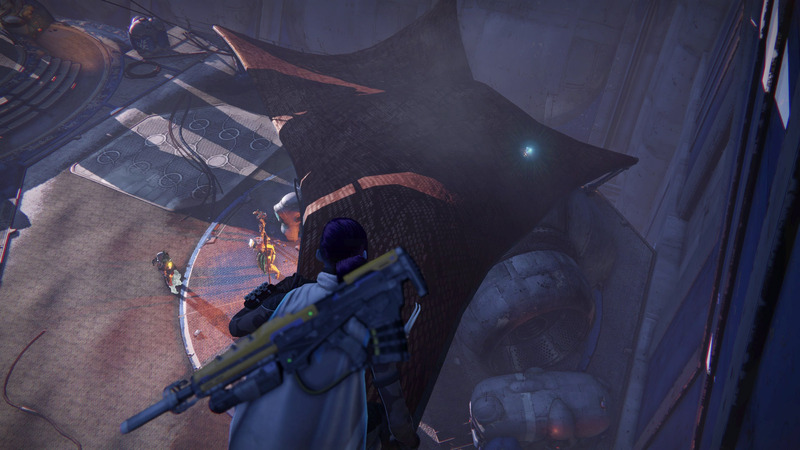 The Dead Ghost is found beneath this Cabal’s body. This Dead Ghost can be found in the mission, The Coming War in the Aerodrome area. After coming outside and seeing your ship fly off, head down toward the broken bridge. When you reach the broken bridge turn around and look at the wall, there is a pipe heading off to the left. It’s on top of this pipe where you will find your Dead Ghost. By following this guide you should have found all Dead Ghosts, which not only increases your Grimoire score, but after collecting 50 unlocks the Achievement/Trophy, Ghost Hunter!